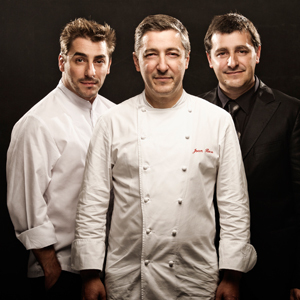 "Curiosity and creativity propel the Rocas back to the top"
Head Chef Joan Roca, pastry Chef Jordi Roca, and master sommelier Joseph Roca make up the indefinable holy trinity of the kitchen. 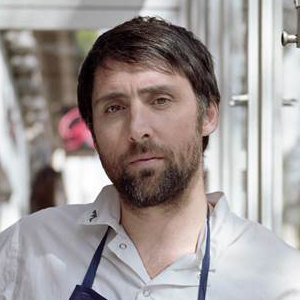 As a family affair, the collective genius of the Roca brothers propels their 55-seat Catalan restaurant back to number one through truly imaginative means of contemporary innovation. 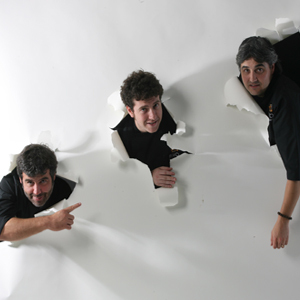 Yet despite venturing into the wild (so to speak), the brothers still remain true to their humble roots, juxtaposing avant-garde imagination with traditional artisanal flavours emulating who they are as a trio and their deep sense of hospitality and familial warmth. 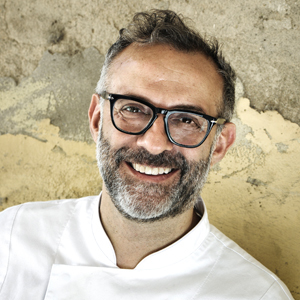 Renowned for his twists on Italian culinary mores, Chef Massimo Bottura’s inquisitive nature highlights his drive to evolve his country’s food, depicting tones of joyful celebration of Emilia- Romagna- the chef’s home province of northern Italy- through inspiration drawn from his personal experiences, family, and the arts. 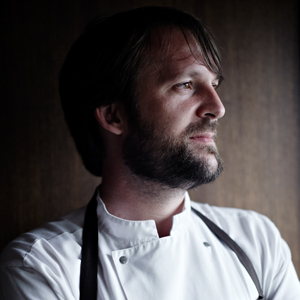 Defending their first place title in the 2014 edition of The World’s 50 Best Restaurant List, along with opening a critically acclaimed five week pop-up in Japan earlier this year, Chef René Redzepi and his team at Noma have definitely had a very busy past 12 months. 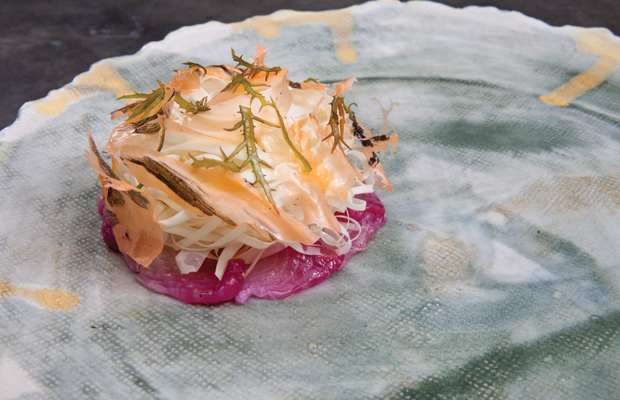 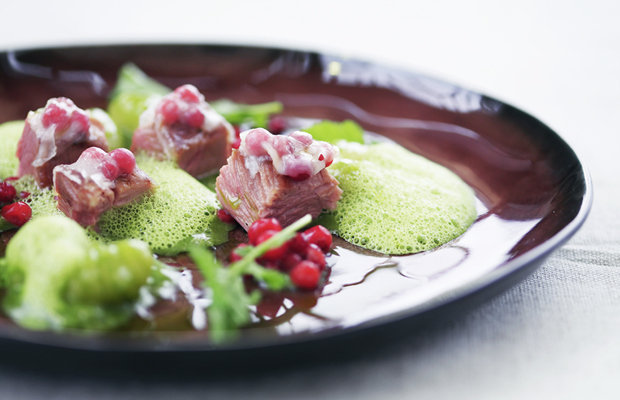 However upon returning back to Nordic soil, the chef wastes no time; channeling new inspiration and techniques learned from his experiences in Japan as he begins what he does best: explore, experiment and create. 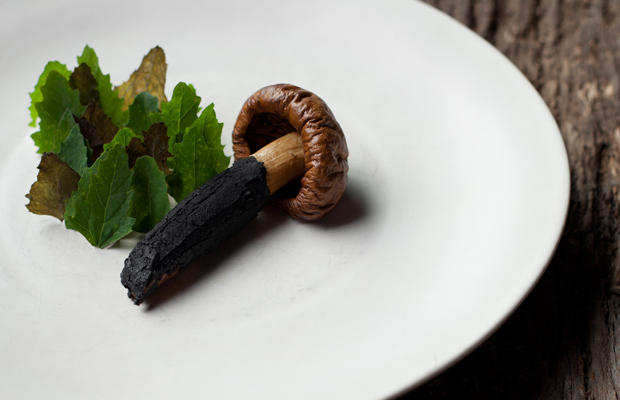 Noma’s ability to assimilate culinary cultures other than its own not only reflects upon Chef René’s (and his team’s) genius and skill in keeping the restaurant gastronomically fresh and (geographically) relevant, but it is for this reason that Noma remains among the most influential restaurants of this century. 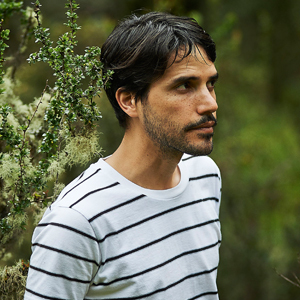 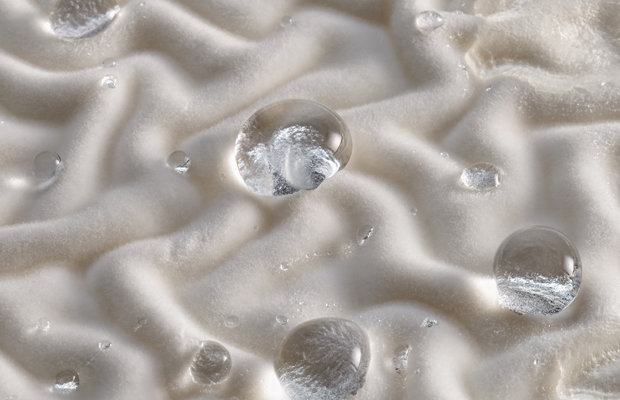 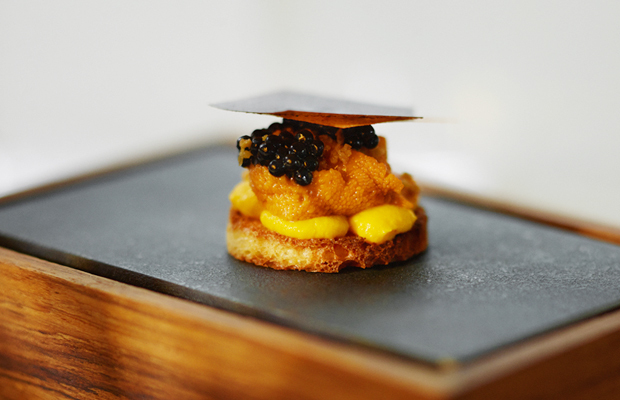 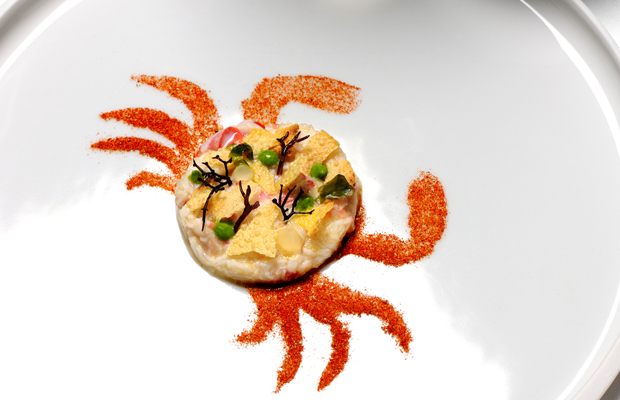 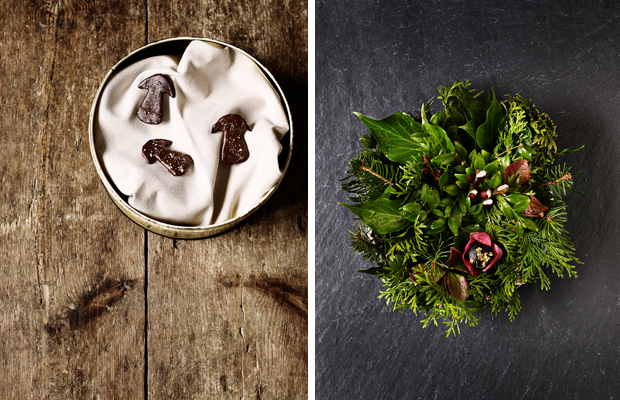 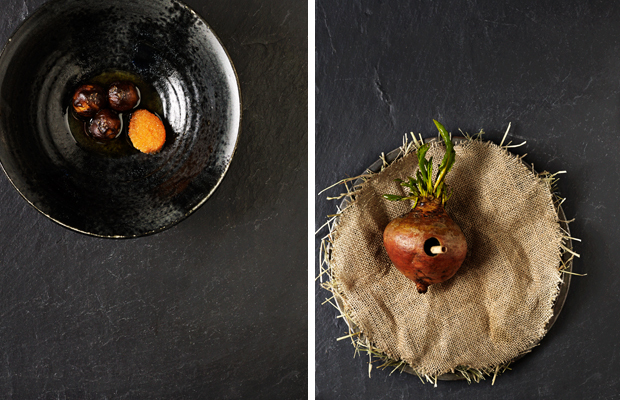 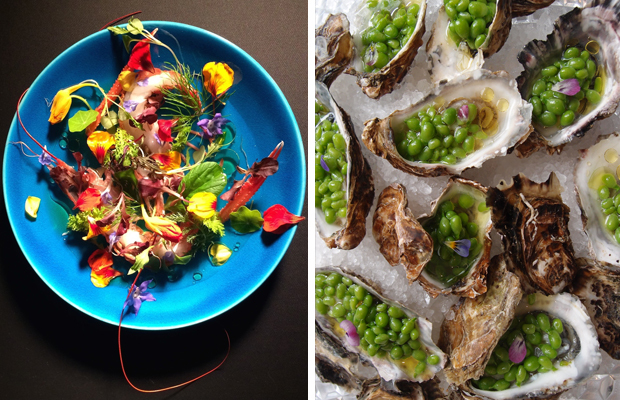 Chef Virgilio Martinez takes his diners on a journey like no other. 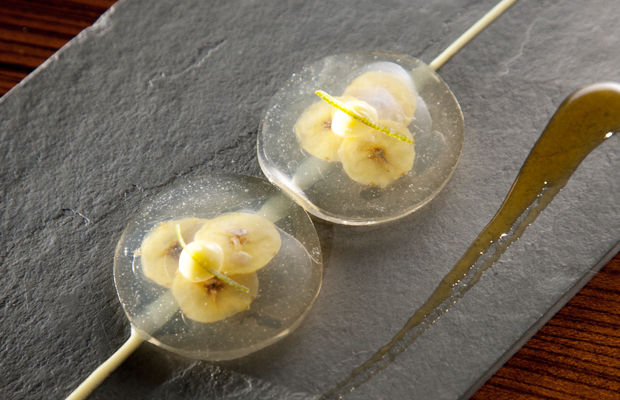 His avant-garde take on traditional Peruvian cuisine has guests gastronomically elevated to a new extreme, taking each person on a vertical voyage across Peru’s beautiful landscape, serving native ingredients sourced at various altitudes; from the mountains to the sea, and from the desert to the jungle- all represented as Central’s tasting menu. 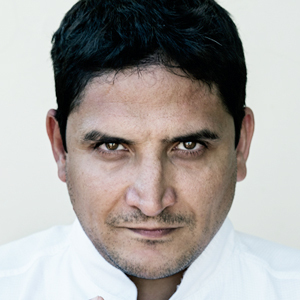 The chef also serves exotic ingredients unknown to most (native and non-native Peruvians alike) as part of his restaurant’s identity and ideology: the formation of an interdisciplinary team combining gastronomy with nutrition, history, anthropology and science; to celebrate Peru’s biodiversity and ancient Andean heritage, thus pushing limits through inventive means of culinary expression. 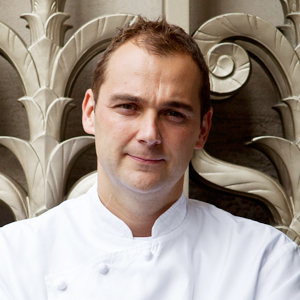 Eleven Madison Park co-owners Chef Daniel Humm and Will Guidara, front-of-house, believe the secret to creating restaurant perfection and an unforgettable dining experience begins and ends with a leveled balance between great food and impeccable service. 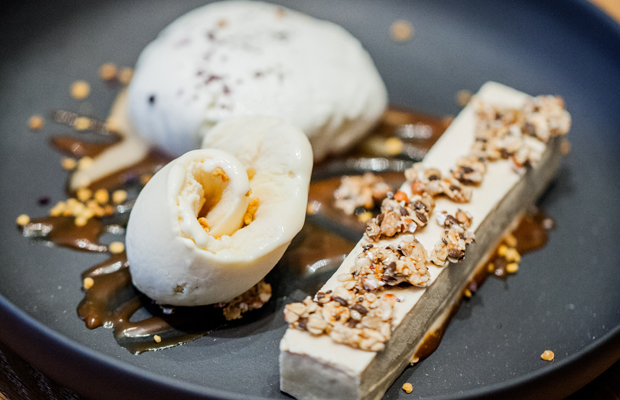 Despite the extravagant interior, the duo has done well to create such light-hearted ambiance to accompany the playful and often interactive nature of their culinary creations. 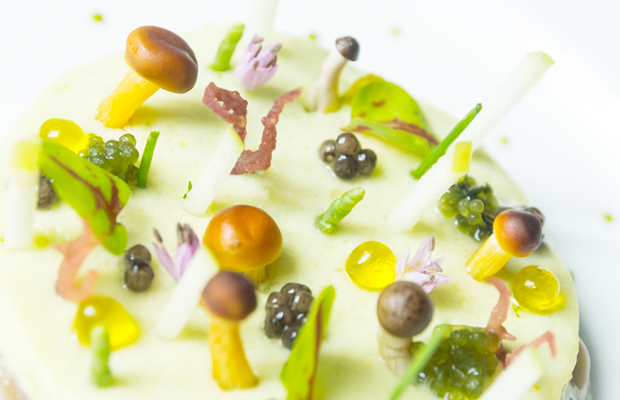 Chef Humm’s tasting menu features ingredients from New York, however it is frequently altered to create a bespoke experience for each diner through the research Guidara’s team of experts have done on you prior to your arrival at the restaurant. 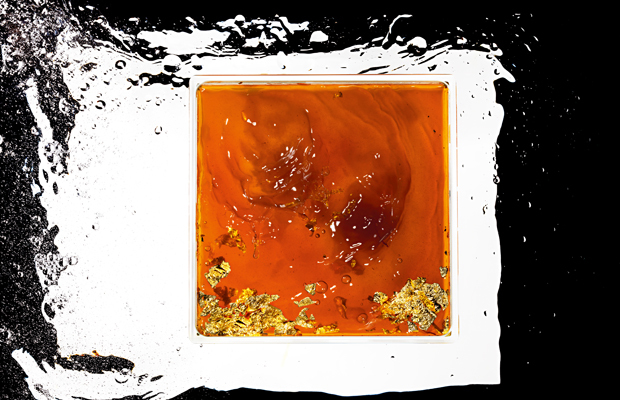 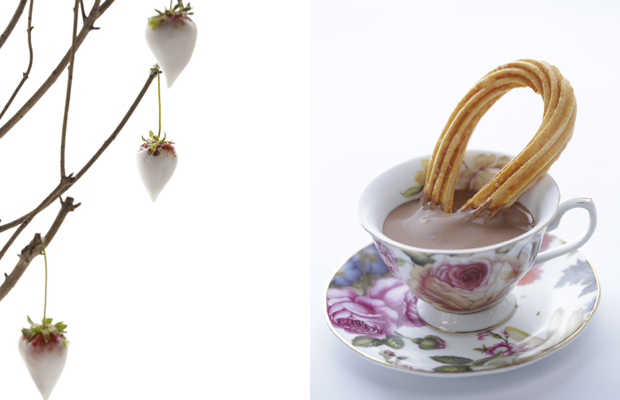 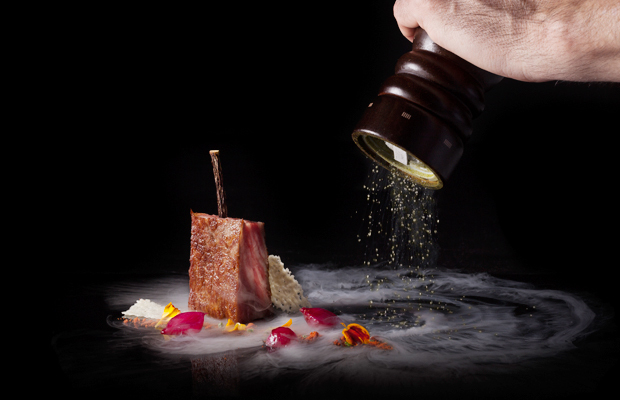 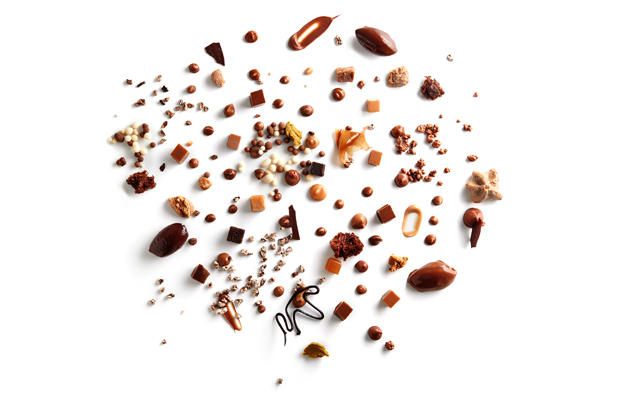 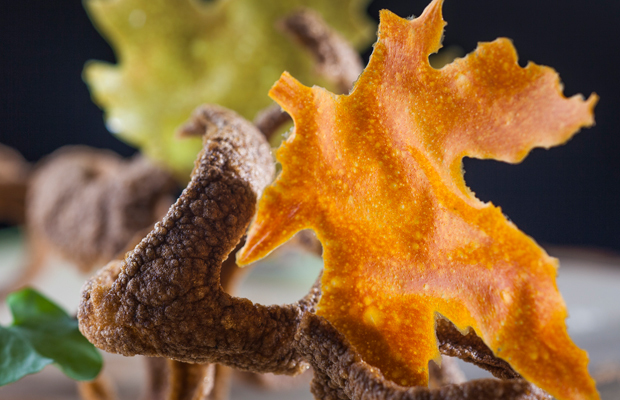 Schooled at El Bulli by the legendary Chef Ferran Adrià, it’s no surprise that Chef-Owner Andoni Luise Aduriz’s restaurant Mugaritz defies traditional dining norms in his quest to deliver a complete sensory and creative experience. 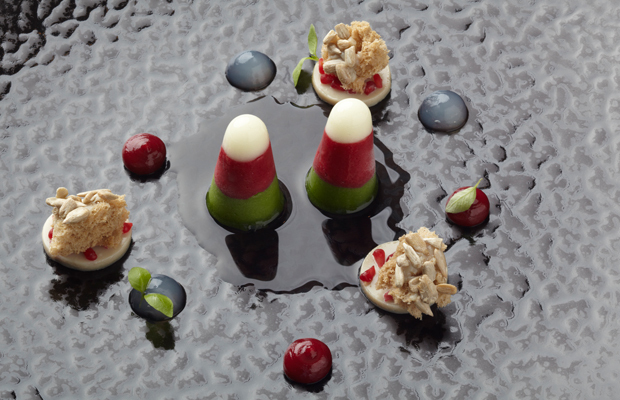 His menu, or rather lack-there-of, treats diners to a fully bespoke dining experience, entailing 24 individually tailored courses to suit each person’s dietary requirements and flavour palettes. 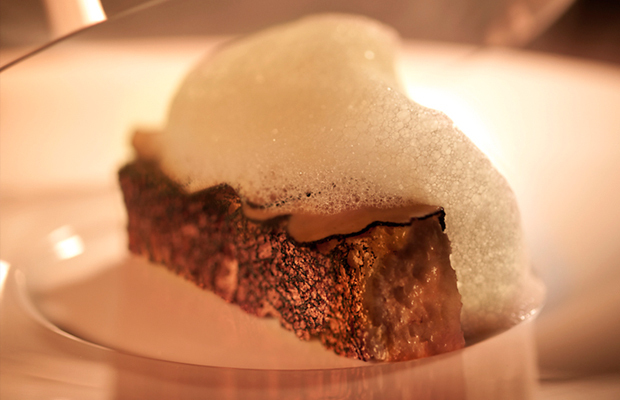 Despite many doubtful wonders regarding whether Dinner by Heston Blumenthal would offer the same hyper-experimental cuisine as the chef’s famous Berkshire restaurant The Fat Duck, Dinner, run by Blumen’s right-hand-man, Ashley Palmer-Watts, managed to impress London through its unique niche, reviving forgotten recipes while showcasing 600 years of traditional British cuisine through modern day techniques and ingredients. 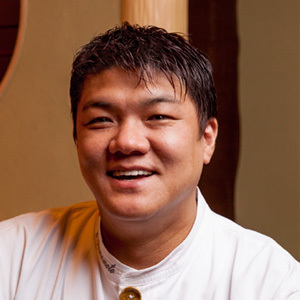 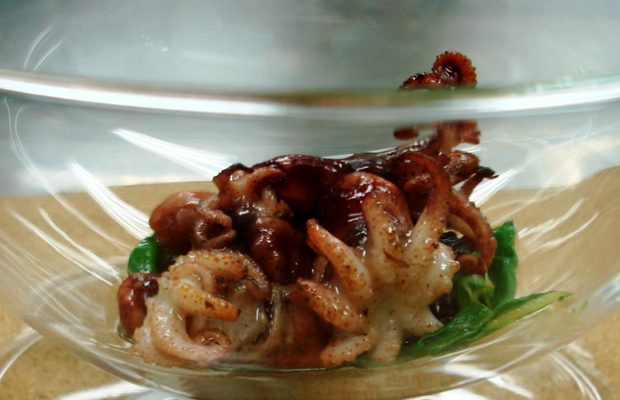 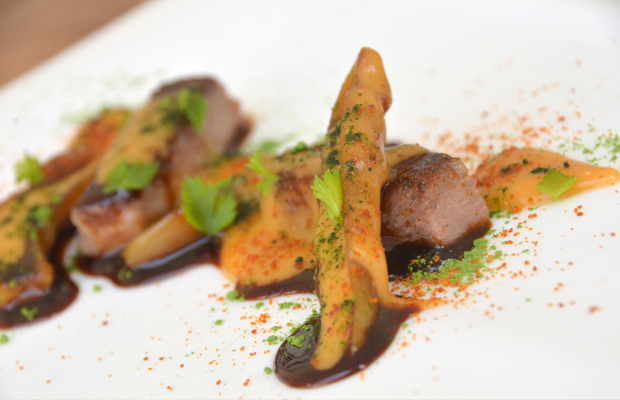 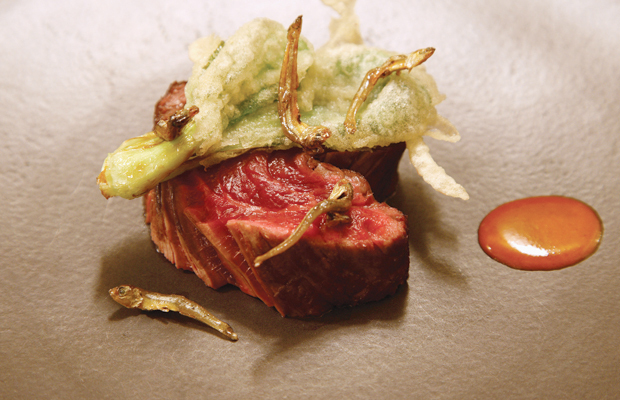 Chef Yoshihiro Narisawa’s love of the natural world’s poetic nature is strongly highlighted in his menus. 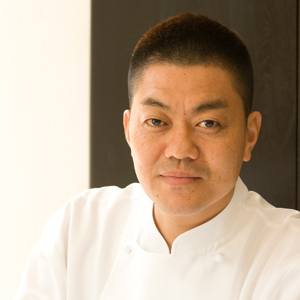 His dishes are restrained and highly thoughtful without being austere or stingy; more cosmopolitan than most contemporaries in Tokyo with distinct French influences in his cooking, yet still remain true to his roots through the use of unique Japanese ingredients. 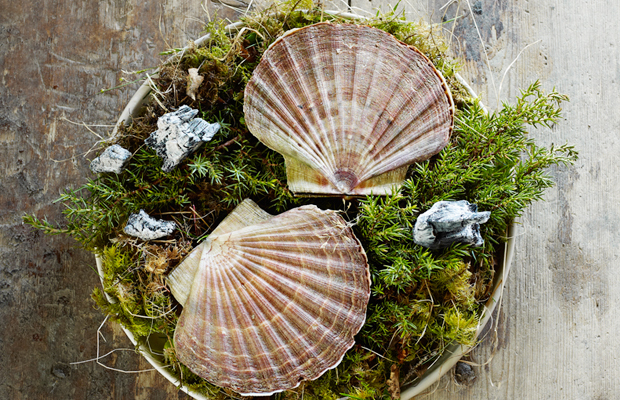 Everything… from the restaurant, to his food, to the chef himself, are all deeply in tune with the landscape and moment in time. 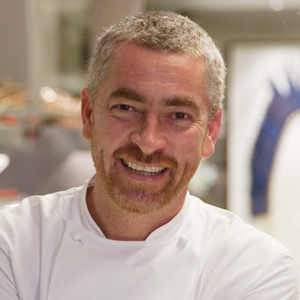 Brazilian DJ-turned-Chef Alex Atala, resonates inspiration from his travels and experiences in his dishes to fuel the main objective of his restaurant: to reshape Brazilian food through the use of rich, locally grown and sustainable resources. 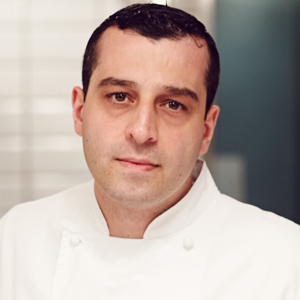 Chef Atala is also visibly passionate when talking about the his most recent findings from the Amazon, urging diners at D.O.M to sample each ingredient and marvel at the gems he’s uncovered. 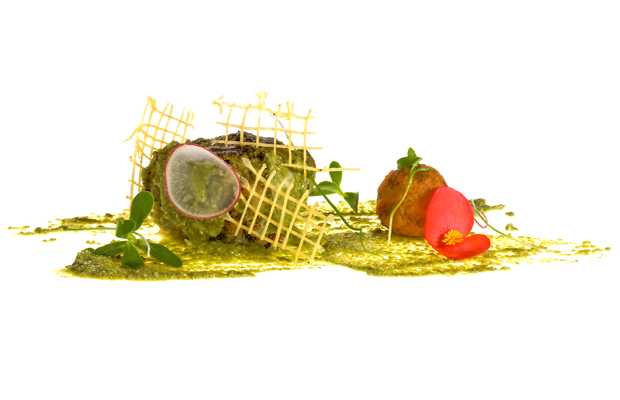 Style of food: contemporary Brazilian with Amazonian ingredients. 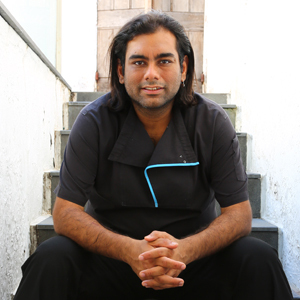 Drawing inspiration from the street foods native to Chef Gaggan Anad’s hometown of Kolkata, the formerly trained El Bulli student /protégé presents an array of reinvented regional Indian cuisine, showcasing the chef’s clever use of boundary-pushing (modern) techniques through the playful and adventurous reinterpretations of the classic street dishes. 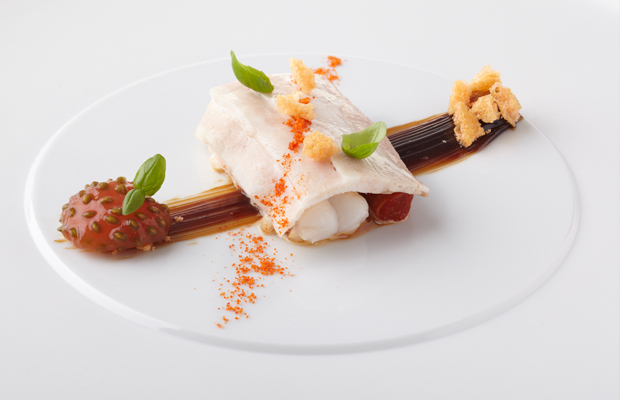 Argentine-born Chef Mauro Colagreco brings both innovation and simplicity to his seasonal and ever-changing carte blanche menus and Mirazur. 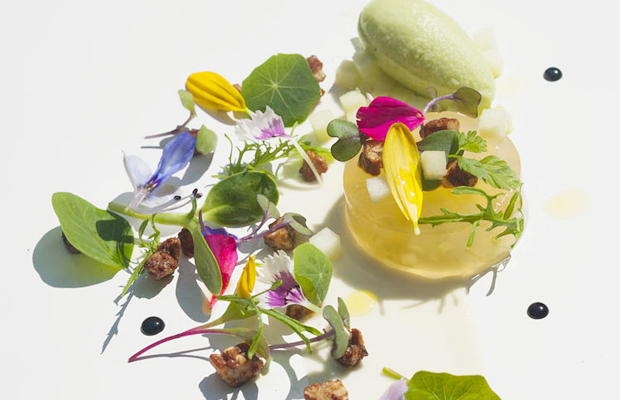 Through a combination of avant-garde techniques and quality ingredients, the dishes presented at the restaurant aim to tell a story where the local, fresh produce each play protagonist roles in the story of how his food came to be, enhancing the chef’s unique methods, thus wowing guests with both its aesthetically and gastronomically impressive charm. 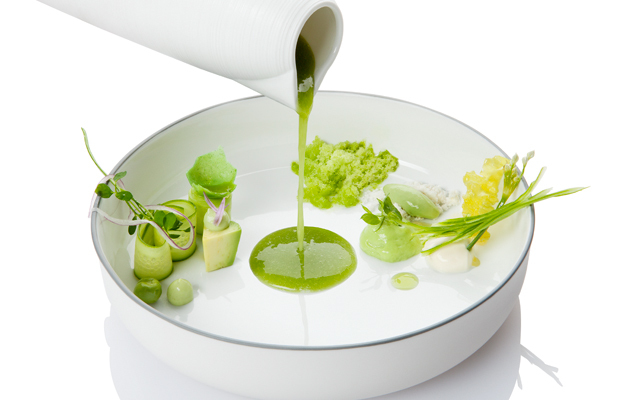 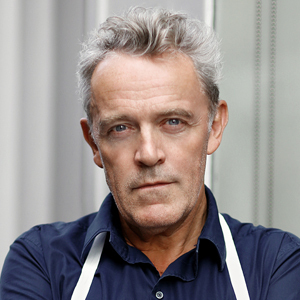 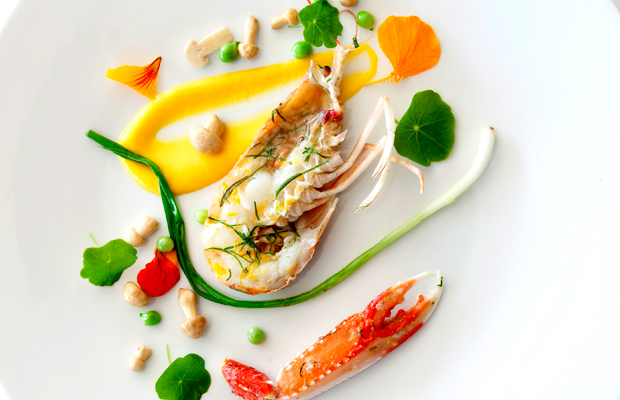 Chef Alain Passard’s L’Arpége is among one of most unique restaurants on The World’s 50 Best Restaurants List 2015, as the sole focus of his menu revolves around the vegetables grown in his biodynamic farm just outside Paris. 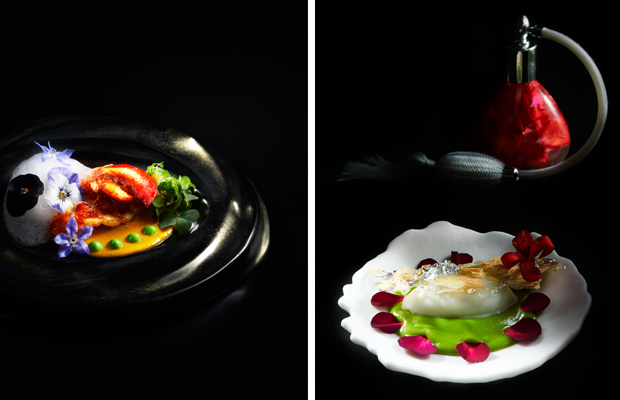 Each dish is effectively complemented by one another, highlighting the chef’s creative imaginative brilliance and culinary genius. 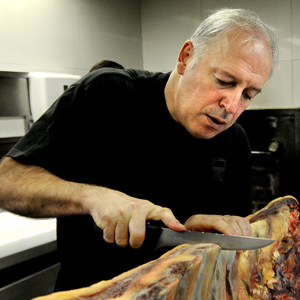 Regarded as a founding father of creative European barbecue, Chef Victor Arguinzoniz’s restaurant, Asador Etxebarri offers a symphony of nuanced flavours created with only the most impeccable seasonally fresh ingredients, many of which are grown, picked, reared and butchered by Chef Arguinzoniz himself, conjuring simplistic dishes of vibrant flavour capacity. 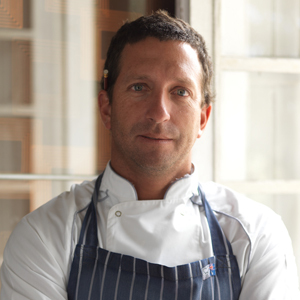 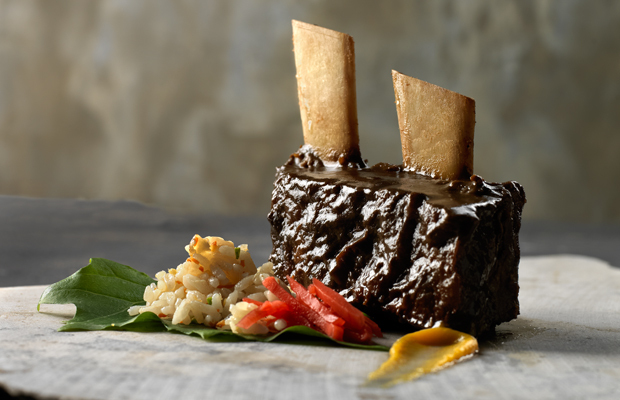 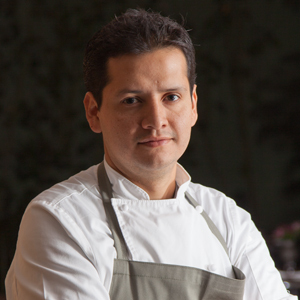 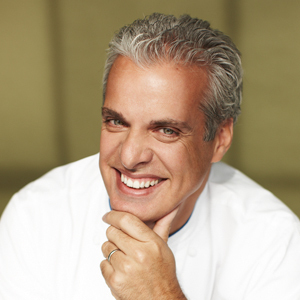 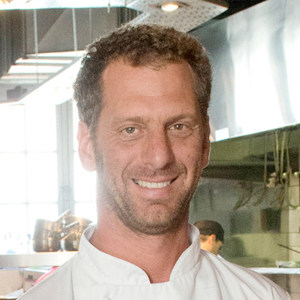 Chef Gastón Acurio is the undisputed five-star king of Peruvian cuisine. 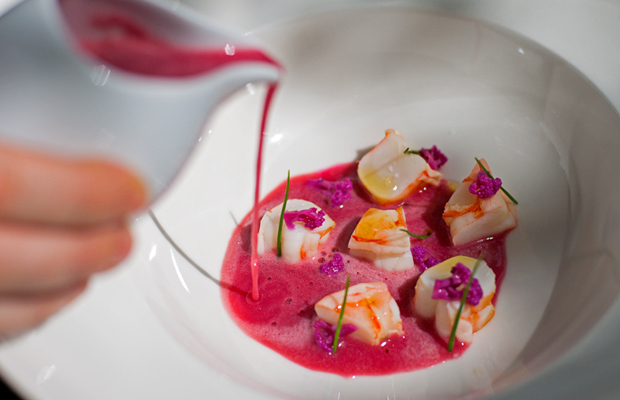 His restaurant, Astrid y Gastón, depicts the epitome of elegant grandeur, from high ceilinged interiors to the restaurant’s minimalistic décor; every miniscule detail considered and perfected to the finest touch. 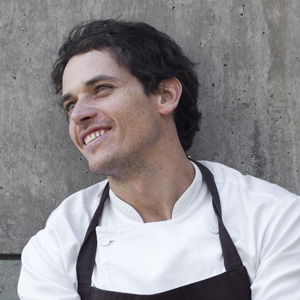 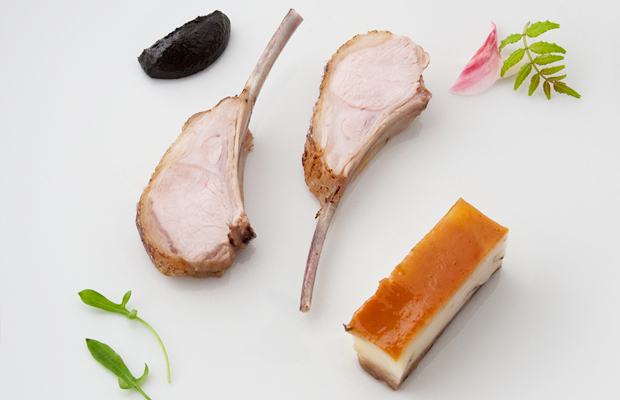 The menu, of course, plays an integral role in which Chef Gastón wishes to share his story. 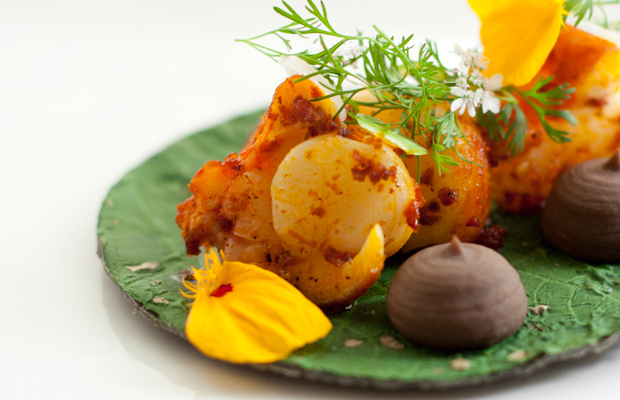 Presented in a slender and elegantly bound exercise book, each dish, though conveying separate childhood memories of the chef growing up in Peru, all interlink to tell a story, encompassing a note of nostalgia present in the diverse use of rich flavours familiar to the chef. 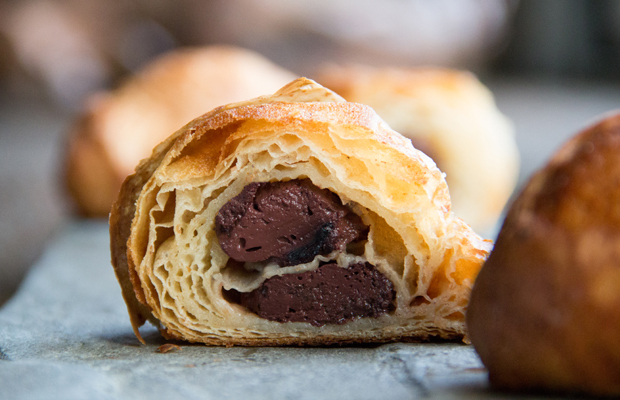 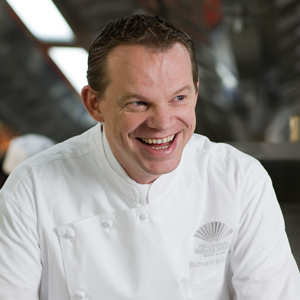 Trained under Joël Robuchon and Anton Mosimann in a lucrative apprenticeship, Chef Heinz Reitbauer has rightfully earned a reputation for marrying cutting-edge processes with classical ingredients from his homeland. 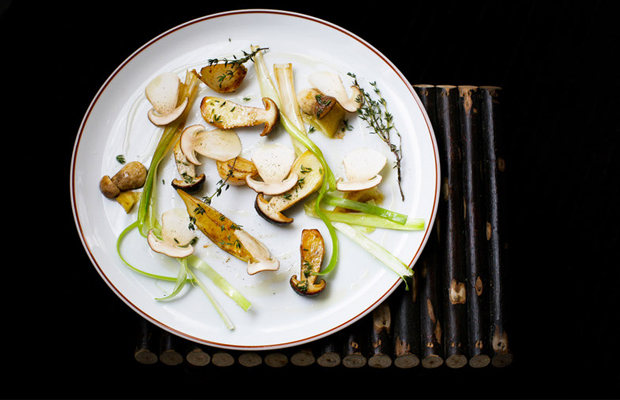 The organic nature of each carefully crafted dish presents a strong contrast to the architectural forms of Steirereck’s interior and exterior designs. 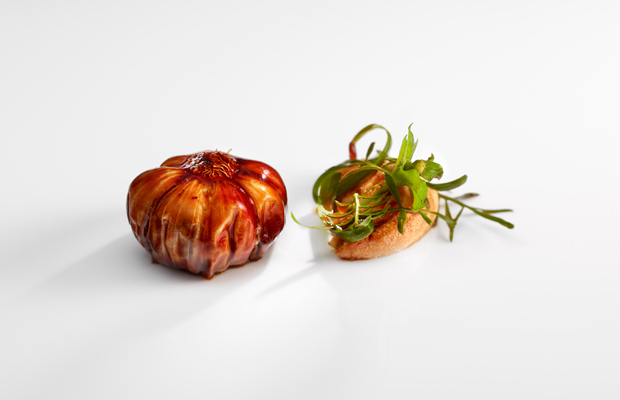 The striking difference presents no hindrance, however, as it highlights the clever juxtaposition between old and new – perhaps to indicate chef Reitbauer’s ability to simultaneously adapt (to modern times) whilst preserving strong links to traditional cooking drawn from his home region of Styrian, Austria, where many of the ingredients used in his kitchen come from. 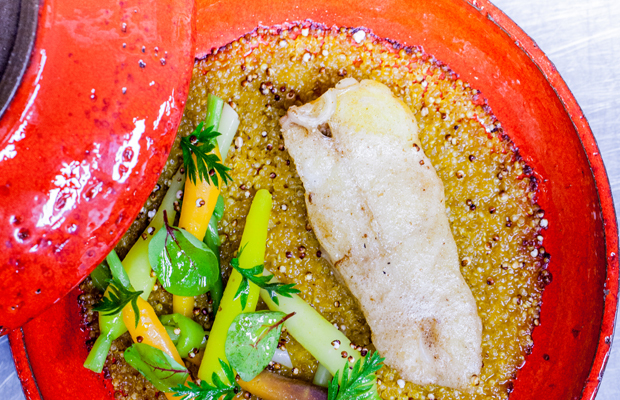 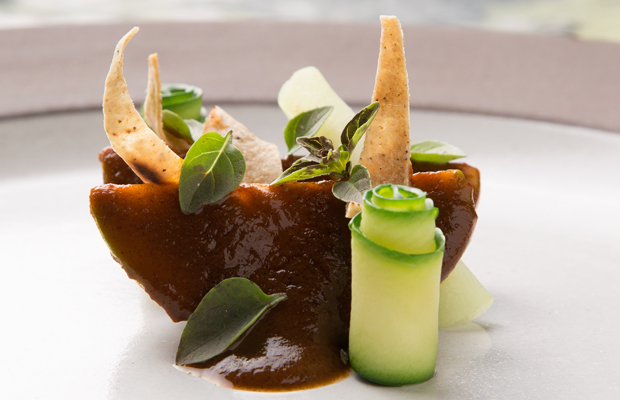 Pujol, Chef Enrique Olvera’s famed 13-table restaurant is Mexico City’s finest. 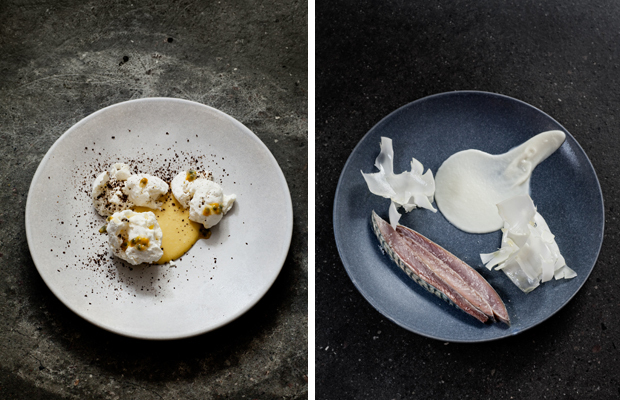 The elegantly minimalist and moody monochromatic ambiance exerts a high level of innovative sophistication that is also present and mirrored by the passion he so obviously has for his cooking. 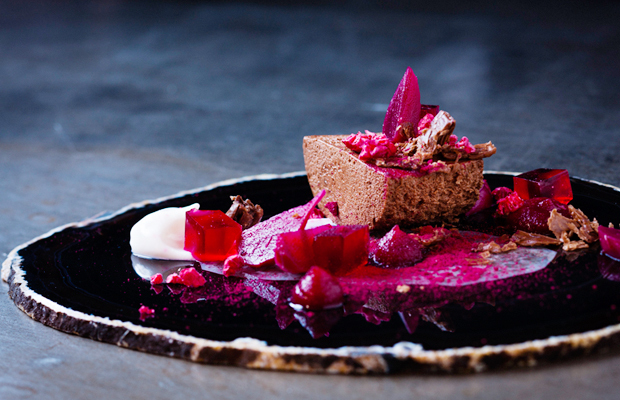 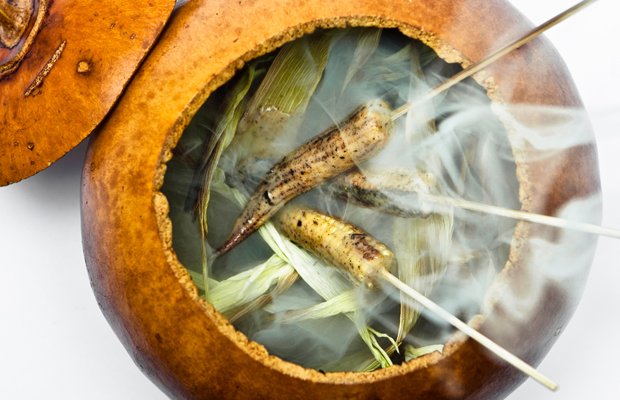 Each dish passionately pays homage to the indigenous cookery of Mexico, employing modern techniques and native ingredients to recreate ancient dishes and invent new ones that showcase unusual flavour combinations. 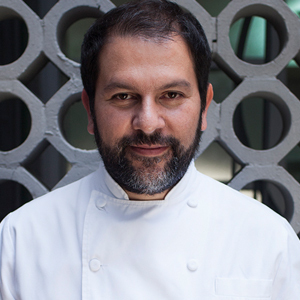 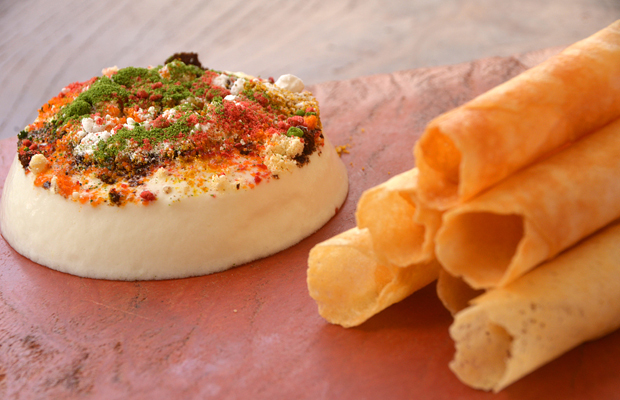 Chef Olvera’s menu is definitely firmly rooted in his homeland, and rightfully so. 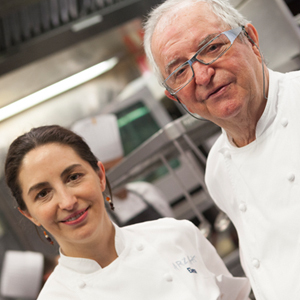 It’s a family affair for the all-mighty Chef Juan Mari Arzak and his daughter Chef Elena Arzak Espina as their modern Basque restaurant enters (or rather, is already in) its second generation of cutting edge culinary innovation with strong influences of the sea present in their menu. 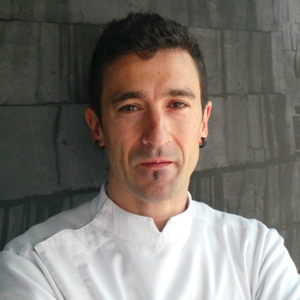 Chef Eneko Atxa’s eccentrically genius techniques are the reason why Azurmendi, his first restaurant, is ubiquitous in the world of cutting-edge culinary techniques. 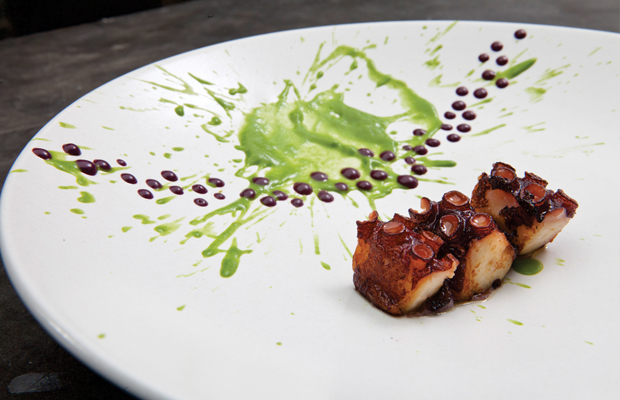 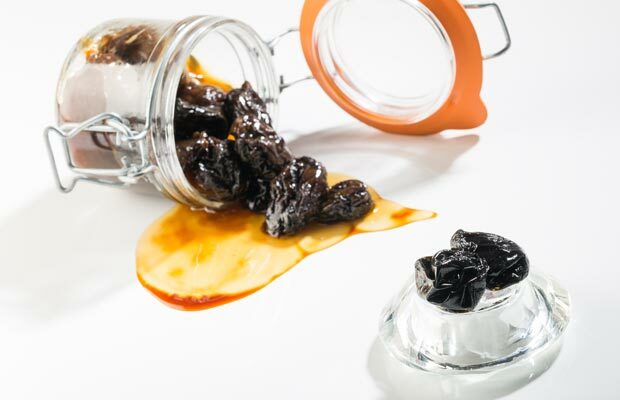 The (cutting-edge) Basque-style restaurant definitely stays true to its native philosophy of pushing boundaries by creating artistically, exotically, innovate foods to serve up on their plates. 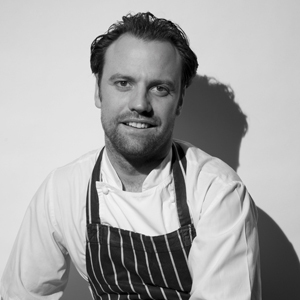 Trained with British Chef Phil Howard at The Square before opening his own restaurant, Australian Chef Brett Graham presents a considered menu at The Ledbury, where a combination of humble and luxurious diverse ingredients are juxtaposed to create flavours redolent with whimsical flair and gastronomic delight. 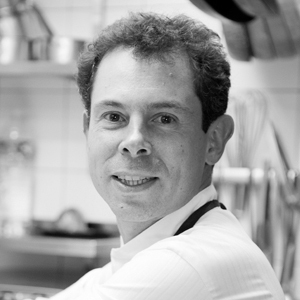 Known as the rock ‘n’ roll chef who spearheaded the ‘bistronomie’ movement, revolutionizing a new generation of the Parisian restaurant scene, Chef Inaki Aizpitarte’s Le Chateaubriand menu serves a unique fusion of French, Asian and even Latin American inspired flavours, all presented in the relaxed ambiance of his affordable anti-uptight, anti-pompous bistro styled restaurant. 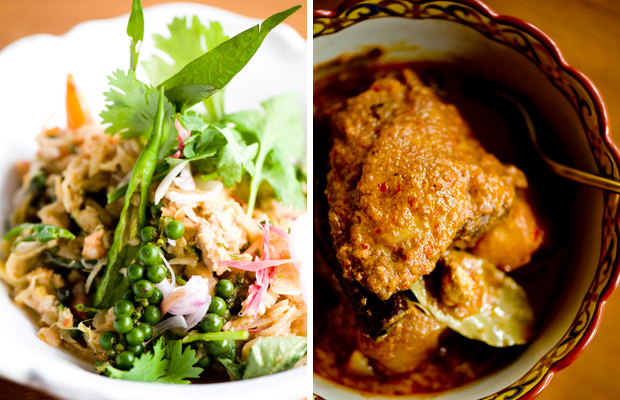 From the opulent gastronomy of the palaces, to the dishes of the streets, Australian Chef David Thompson (along with his Head Chef Prin Polsuk), draws influence from all over the Thai cooking spectrum and approaches each dish on his menu at Nahm through rustic and gusty techniques that are ubiquitous in the traditional trait of Thai cooking. 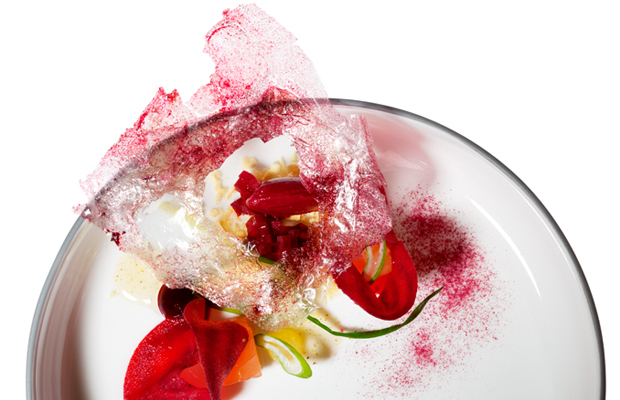 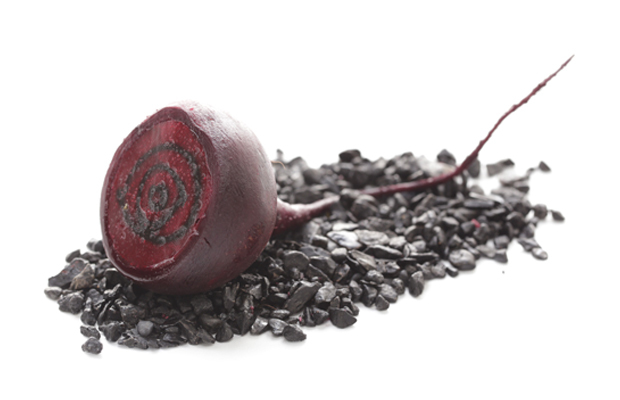 Russian Chef Vladimir Mukhin’s famous reinvented beetroot soup at his famed Alice in Wonderland-themed restaurant is an emblematic dish in which his culinary philosophy sits on: to re-imagine Russian cuisine using contemporary techniques and international ingredients. 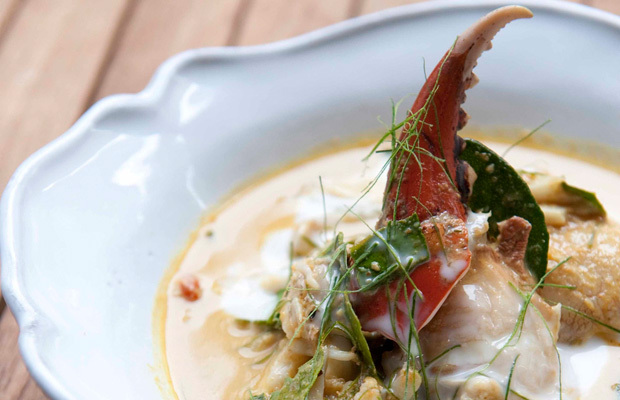 Chef Mukhin’s wide-range menu, along with the quirky dining experience almost transcends past Lewis Carroll’s fairytale and sends you (and your taste buds) on an (gastronomically) out-of-body experience like no other. 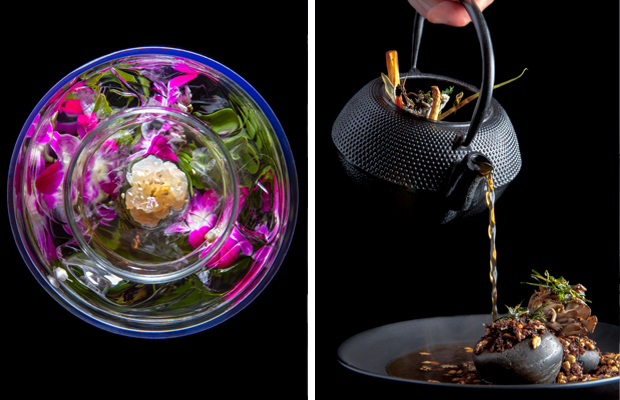 Dining at Chef Paul Pairet’s Shanghai restaurant, Ultraviolet, is definitely a psychedelically surreal experience. 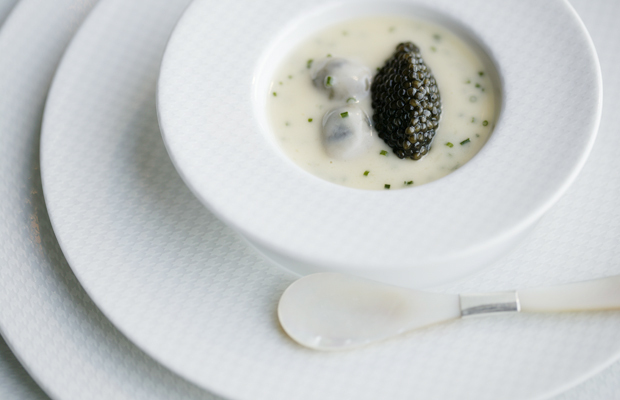 Think glamorous James Bond lair via secret and mysterious means of transportation in junction with a uniquely incredible dining experience like no other. 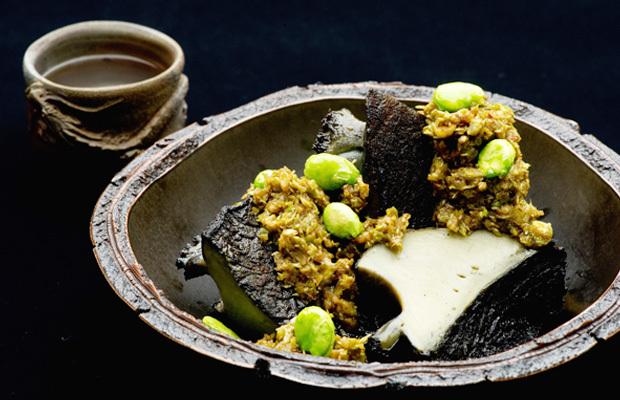 Guests must first gather at Mr & Mrs Bund, the chef’s central Shanghai restaurant, to be driven by minibus in the direction of Ultraviolet. 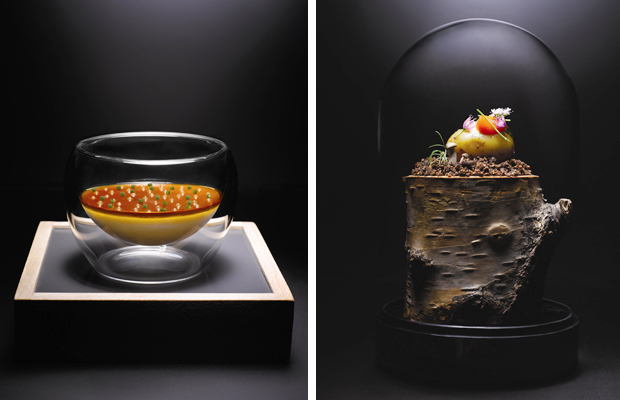 Upon arrival to Chef Pairet’s secret location entrance, the much anticipated restaurant is finally revealed. 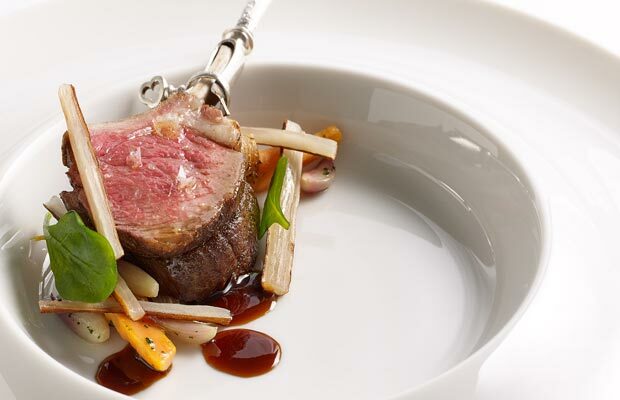 Remember, there is only room for 10 guests. 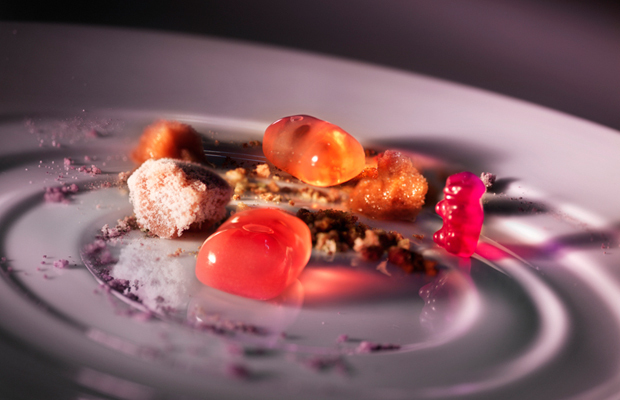 Chef Pairet’s delicately comprised 20 course meal, however, elevates this avant-garde experience to a whole new level as each dish is eaten to the beat of a different soundtrack, which film and picture slids simultaneously play on tabletops and walls, providing a full-on sensory experience. 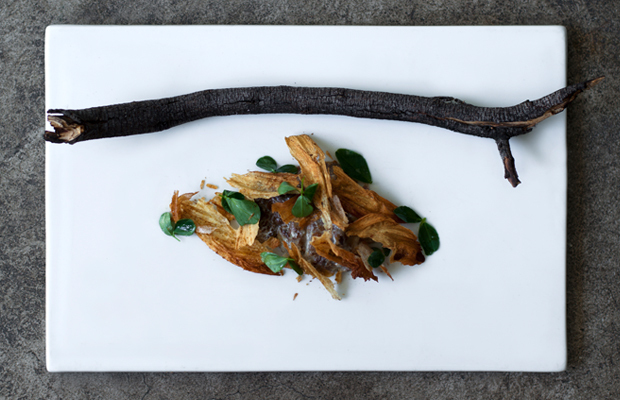 Standout dish: "Foie Gras Can’t Quit"
The world’s media and intrepid foodies alike, are all curiously captivated by the world’s most isolated restaurant located in the north of Sweden. 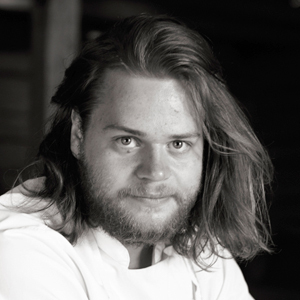 Fäviken, housed in an 18th century barn, can only accommodate 12 diners each night and goes by Chef Magnus Nilsson’s culinary values: to cook using only the traditional farmhouse techniques and practices with ingredients that are farmed, forged or hunted on the estate for authentically rustic Nordic cuisine. 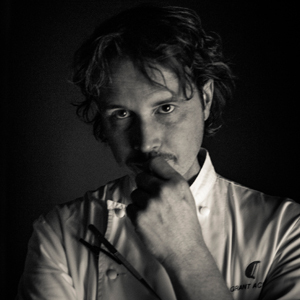 Chef Grant Achatz’s unconventional approach to food, creative avant-garde and culinary pyrotechnics is the reason Alina- Chicago’s esteemed cutting edge restaurant is the brainchild of famed Chef Grant Achatz. 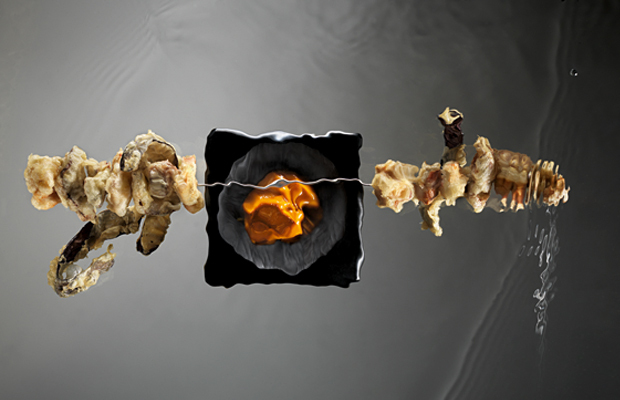 His unconventional approach to food, creative imagination and culinary pyrotechnics combined with an expertly trained service team culminates the most remarkable dining experience that is out of this world. 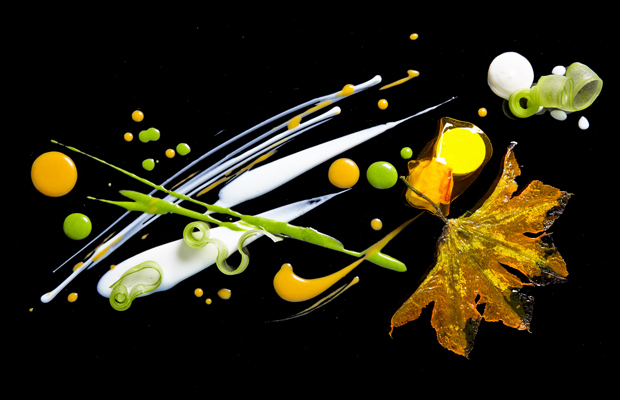 From bespoke service, to avant-garde edibles, Chef Achatz and his team never hesitate to push past boundaries in search for their next gastronomical treasure-trove. 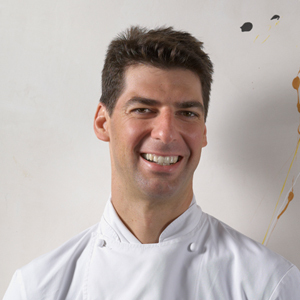 Chef Enrico Crippa’s chic modern Italian restaurant, Piazza Duomo, encompasses an array of beautiful dishes that highlight the region’s natural resources and produce through dishes that respect Italy’s culinary traditions, while simultaneously exploring modernistic approaches. 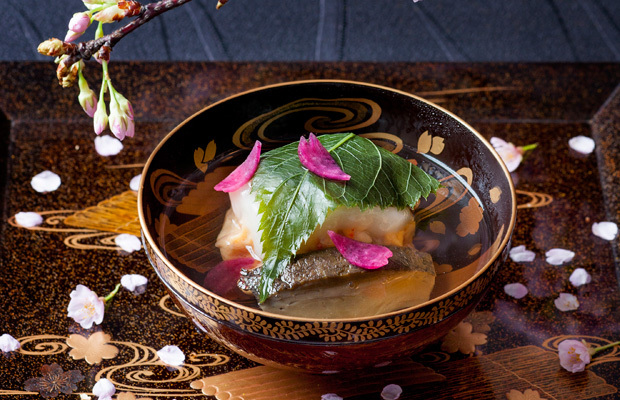 Through the use of seasonal ingredients and grounded Japanese culinary traditions, Chef Seiji Yamamoto conveys the richness of Japan’s natural environment and its ever-changing seasons through exquisite dishes that emulate a traditional kaiseki menu at his acclaimed restaurant, Nihonryori RyuGin. 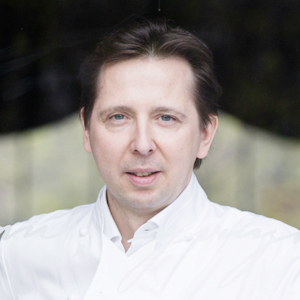 Chef Joanchim Wissler is a highly respected figure in the so-called ‘new German school’ of cooking as he sheds light into traditional German recipes and ingredients, drawing from various culinary cultures such as French, Asian and New Nordic influences that clearly resonate with the chef’s goal to continually redefine the parameters of his nation’s cuisine, whilst still retaining an enviable clarity of flavour. 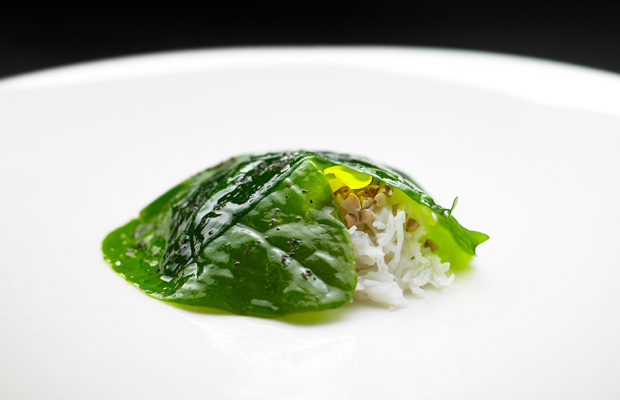 The multi-course tasting menu at Restaurant Frantzén (originally known as Frantzén/Lindeberg) explores the depths of Asian cuisine through playful interpretations of the regions culinary culture through flavour, texture, and aesthetics. 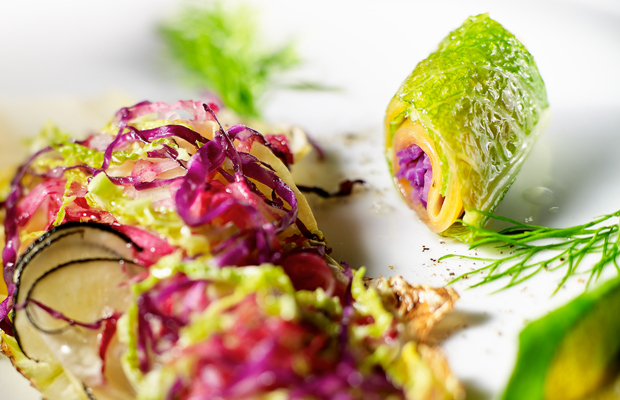 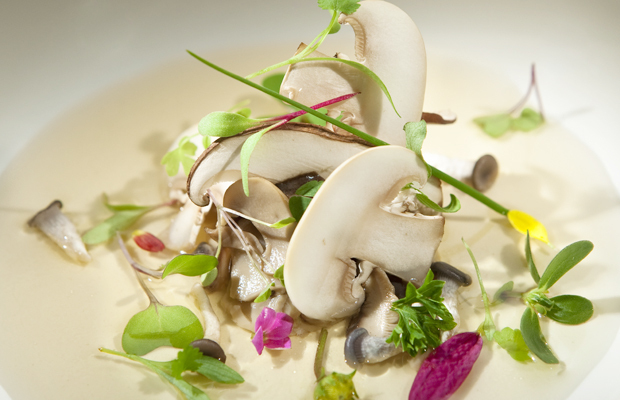 Standout dish: ‘Satio tempestas’ – an array of more than 40 seasonal vegetables grown in the restaurant’s own gardens. 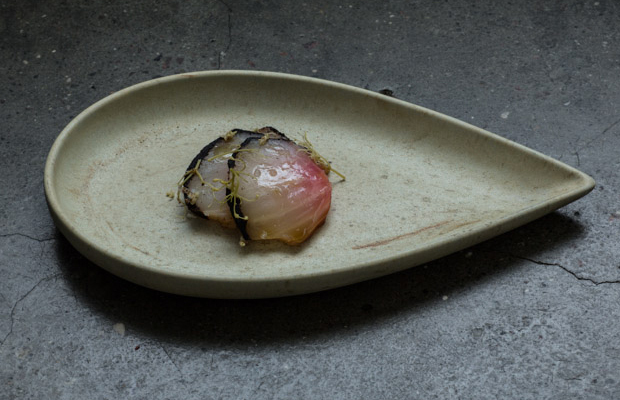 Tucked away deep inside an Australian suburb lays Attica- the modern Australian restaurant by the ever-so-sensitive Chef Ben Shewry. 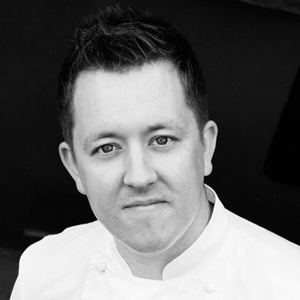 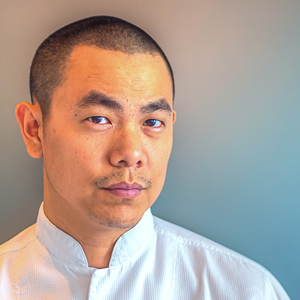 His humility, big dreams (both on and off the plate) and of course, raw talent is what captivates diners and chefs alike from around the world; drawing them like bees to honey, desperate for a taste of his childhood inspired menu. 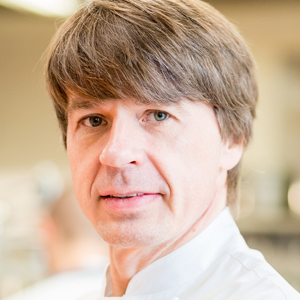 Former pastry Chef Sven Elverfeld cooks some of Germany’s most ambitious food at Aqua, located in Wolfsburg. 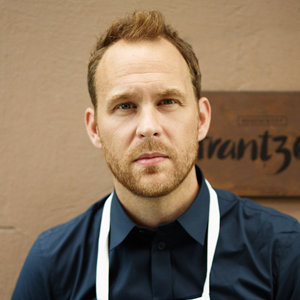 His main schtick is the reinvention of German peasant food, where each dish undergoes avant-garde reworkings to reinvent the old. 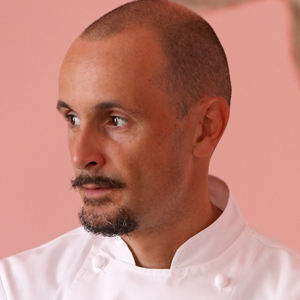 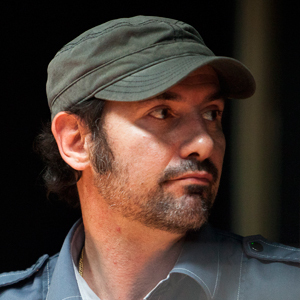 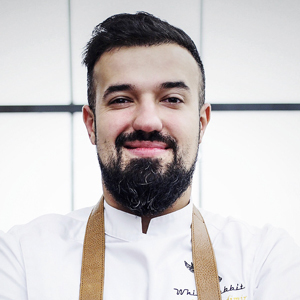 After taking over his mother's kitchen back in 2002, Massimiliano ‘Max’ Alajmo’s culinary evolution still continues to this day. 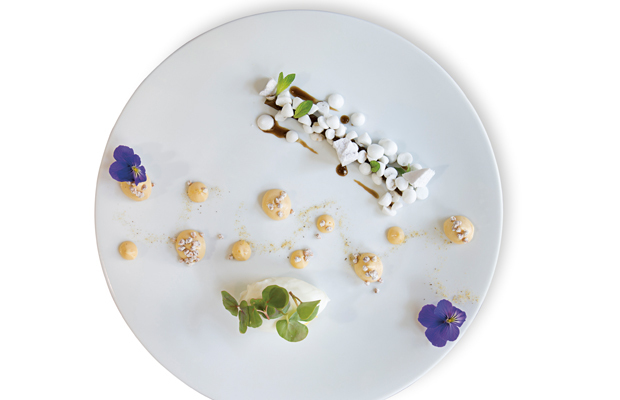 The menus at Le Calandre are seasonally adjusted, thus allowing guests to choose from three simple cartes, each containing a dozen or so dishes. 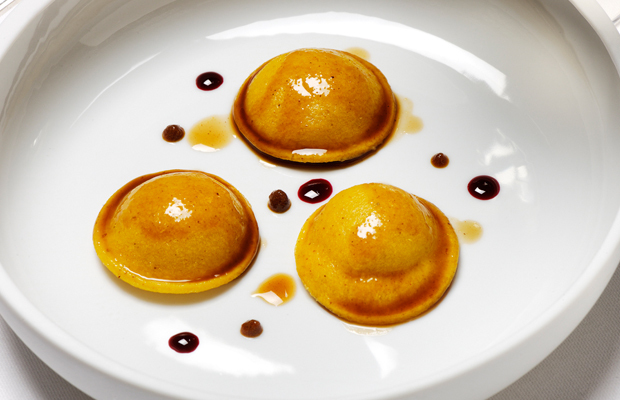 A classic menu is also offered alongside a third menu that encompasses more modern yet still grounded in Italian traditional flavoured dishes, too. 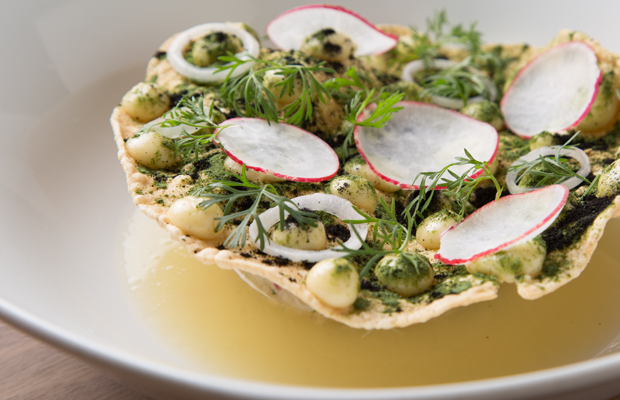 Mexican Chef Jorge Vallejo’s rising star of a restaurant, Quintonil, focuses on fresh seasonal ingredients, forgotten herbs and grains, as well as indigenous produce as he aims to highlight the value of fruit and vegetables through his tasting menu. 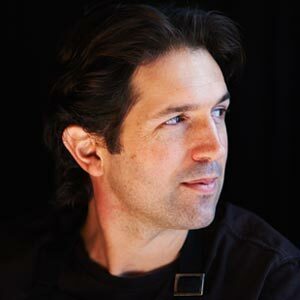 However, unlike most chefs, Chef Vallejo does so by sourcing much of his produce from his own urban orchard as a tribute to his strong commitment to reducing the ecological footprint of his restaurant’s food. 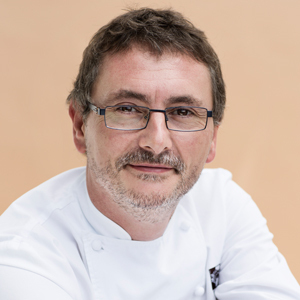 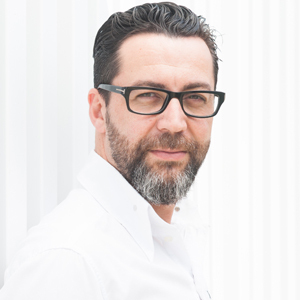 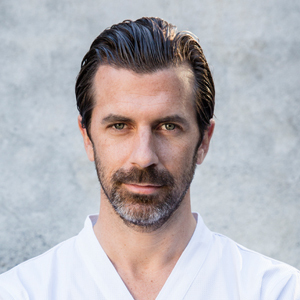 Chef Pascal Barbot’s time spent working under Alain Passard at L’Arpège in Paris and his experience travelling the South Pacific as a chef with the French navy have all informed his approach to food at L’Astrance. 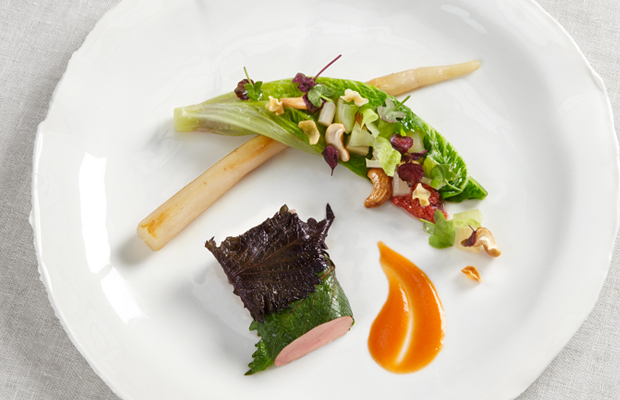 The menu (or rather lack-there-of) combines French haute cuisine with exotic Asian ingredients. 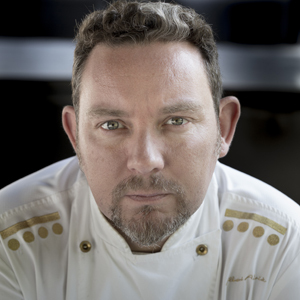 Executive Chef Mikel Alonso and his Head Chefs Bruno Oteiza and Gerard Bellver fuse together native Basque flavours with influences drawn from both Spain and Mexico. 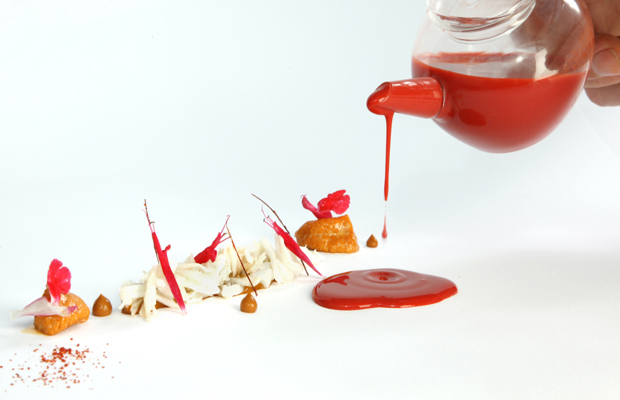 Their menu at Biko collectively consists of contemporary interpretations through the use of skillfully mastered culinary techniques honed at the famed El Bulli. 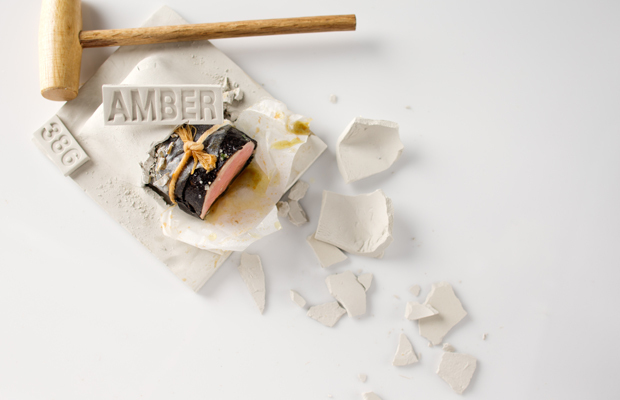 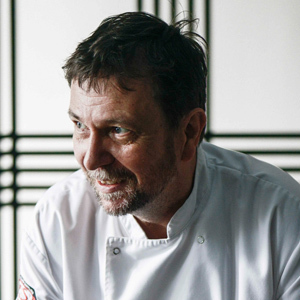 Culinary director and chef at Amber, Richard Ekkebus, has seen the restaurant rise into the upper echelons of Asia’s 50 Best Restaurants since the very beginning. 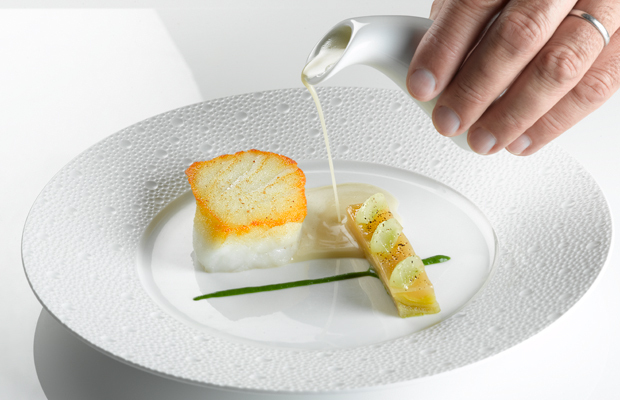 Located on the seventh floor of the Mandarin Oriental Hotel, the cathedral-like restaurant space greatly complements the chef’s world-renowned dishes, gracefully marrying classical French technique with Pacific seafood and the finest meats from around the world. 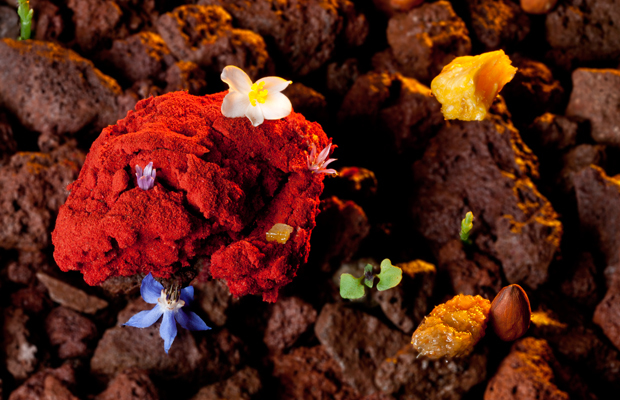 Synonymous to the legendary El Bulli institution, Chef Quique Dacosta’s similar flair for techno-emotional cuisine has been changing perceptions of the Costa Blanca, painting the region from a new perspective, employing a botanist’s eye for local flora that he incorporates into a selection of tasting menus and dishes. 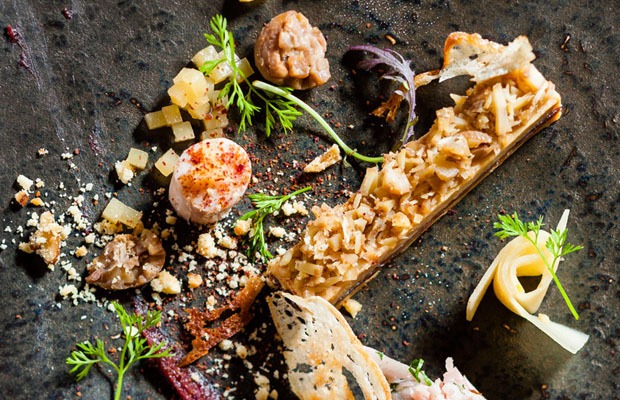 The chef’s devotion to a multi-sensory experience is depicted in his ability to balance style and substance through varied culinary styles, from lighthearted playfulness to willfully minimal dishes. 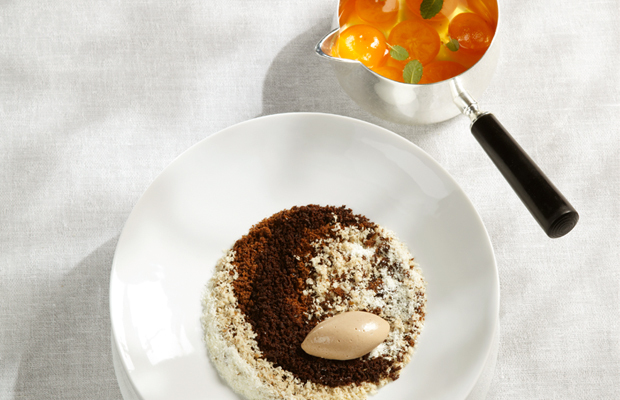 With three Michelin Stars of its own, Thomas Keller’s second restaurant, Per Se, is certainly not hiding behind its elder sibling’s shadow. 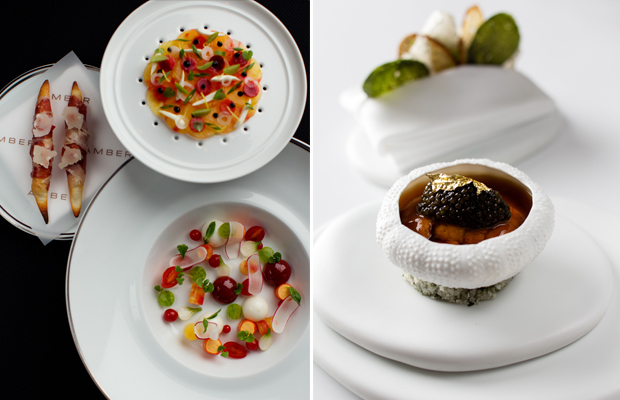 Never failing to make The World’s 50 Best Restaurants list since its doors opened in 2004, the restaurant serves an impeccable nine-course tasting menu, showcasing it's the ever-evolving recipes that draw on classical French cuisine and use of seasonal American ingredients, all courtesy of Chef de cuisine Eli Kaimeh. 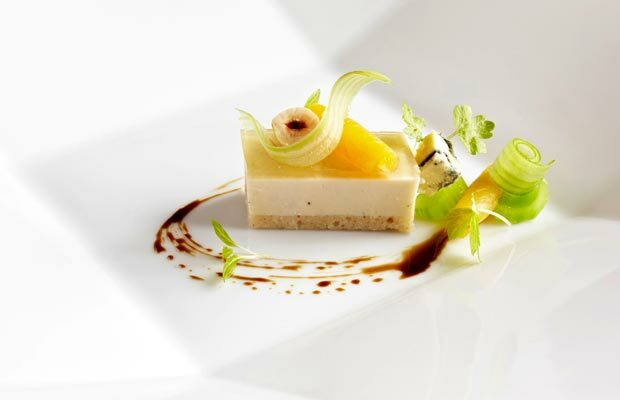 Guests can, of course, expect to see Keller’s signature dishes on the menu too. 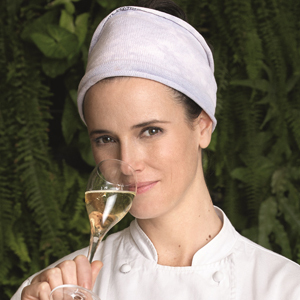 Daniel Redondo and Helena Rizzo are the husband-and-wife team that runs Maní, a Brazilian-European fusion restaurant lead by Chef Rizzo, who won both the title of Veuve Clicquot Latin America’s Best Female Chef in 2013 and World’s Best Female Chef in 2014. 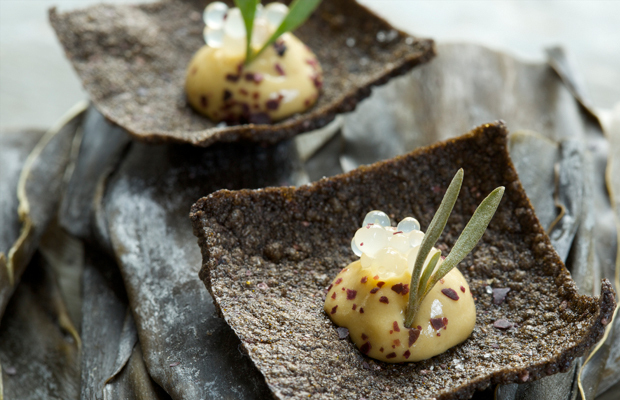 Chile is a culinary playground for chefs like Rodolfo Guzmán, as he’s got both the Pacific Ocean and the Andes at his disposal. 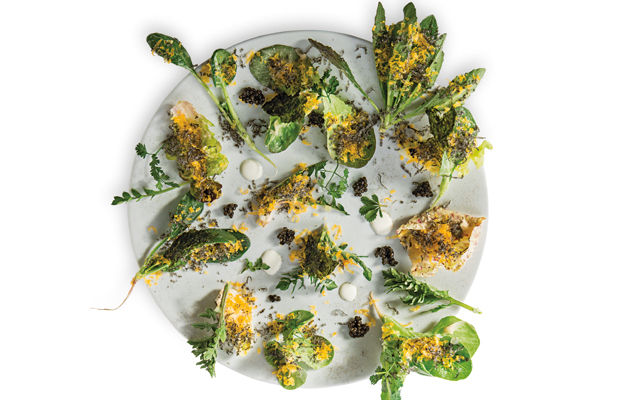 His focus on unearthing native species has brought him mountain high and valley low, all in the name of finding good ingredients for his ever-changing, sustainable menu, thanks to the expansive range of seasonal produce. 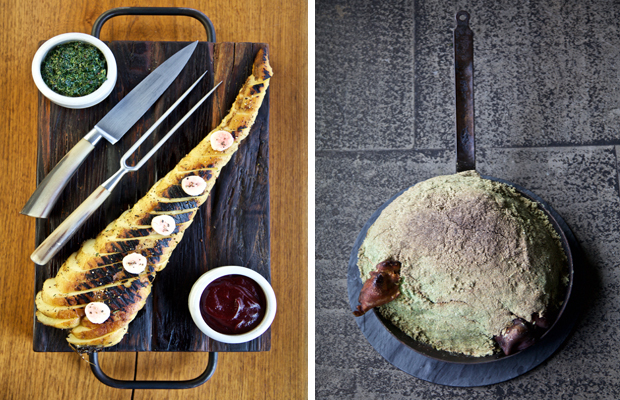 “Fun” is synonymous at this Barcelona-based restaurant. 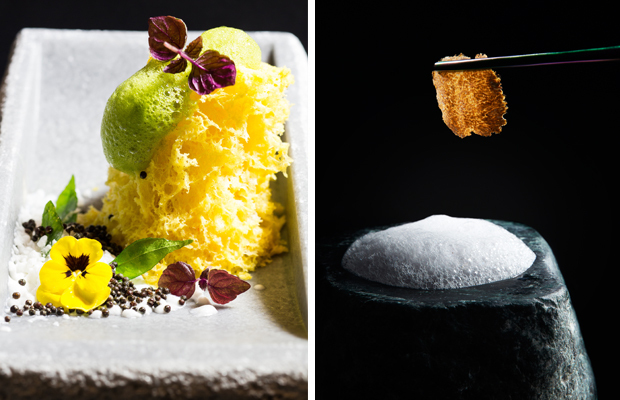 An eccentric energy runs through this cinema-themed operation with 2015’s World’s Best Pastry Chef Albert Adriá at the reins, masterfully blending Catalonia’s distinctive cuisine with global culinary influences throughout his menu. 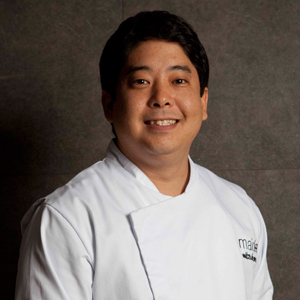 ­Chef Mitsuharu Tsumura’s restaurant, Maido, is regarded as the place to find the finest execution of Nikkei cuisine, with a menu that combines traditional Japanese delicacies with Peruvian indigenous ingredients. 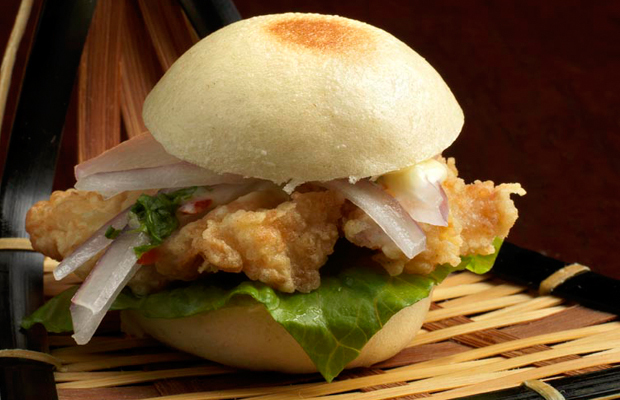 It (Nikkeh) is a unique cultural blend of Peruvian-Japanese food founded more than 100 years ago by Japanese immigrants in Peru. 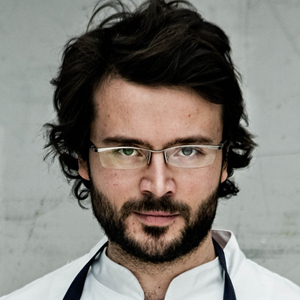 Drawing strong influences from previously working with Chef Rene Redzepi at Noma, time spent at El Bulli in Spain and cultural homage to his native Italian roots, Chef Christian Puglisi’s restaurant Rale, is elegantly simple and refreshingly laid back, thus keeping the sole focus on his menu and the quality of each dishes at all times. 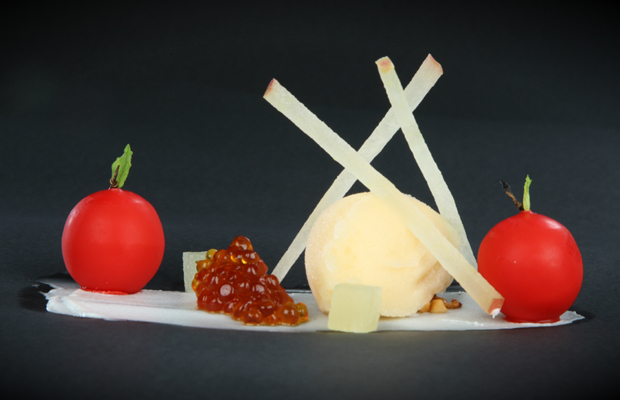 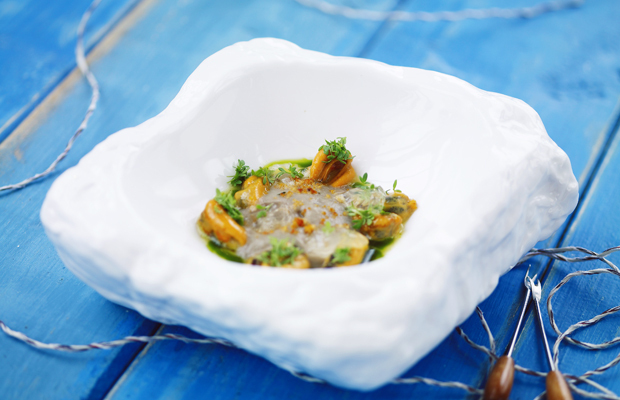 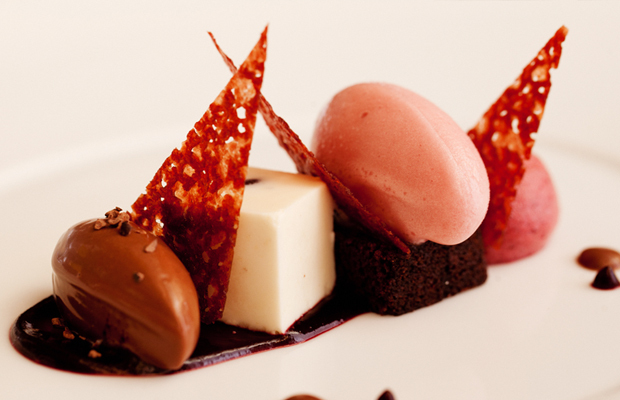 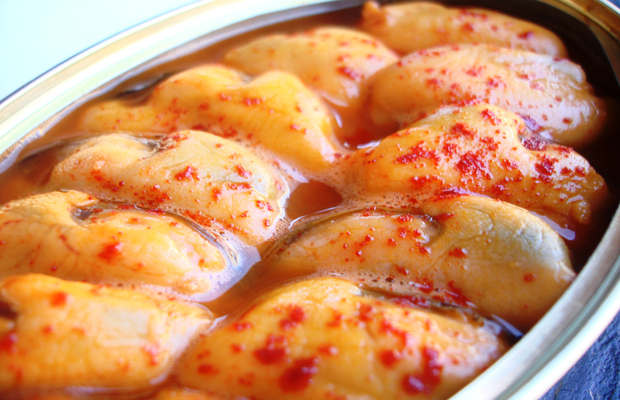 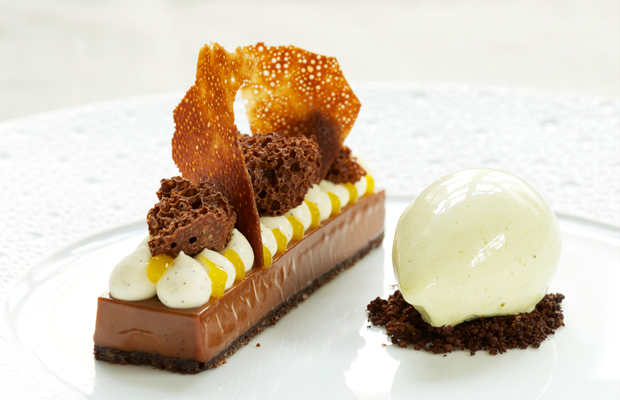 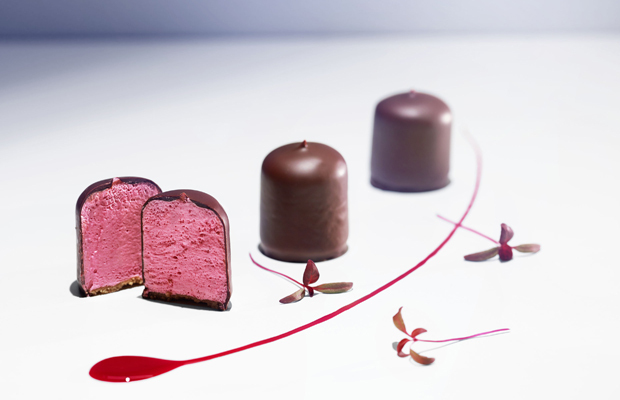 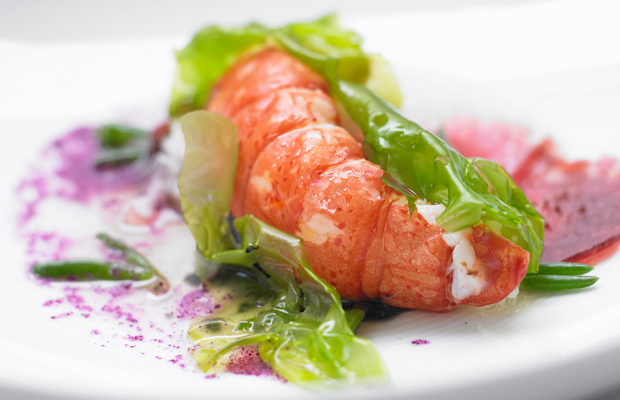 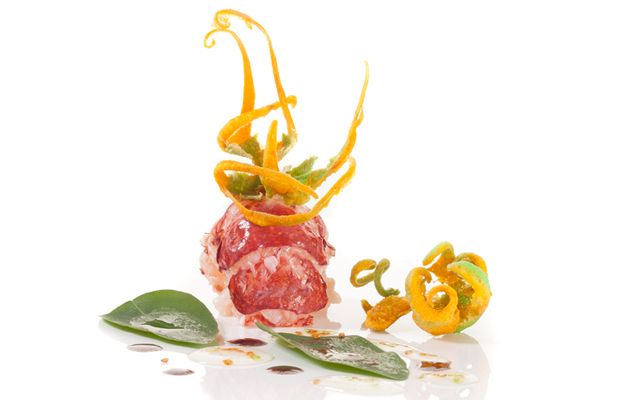 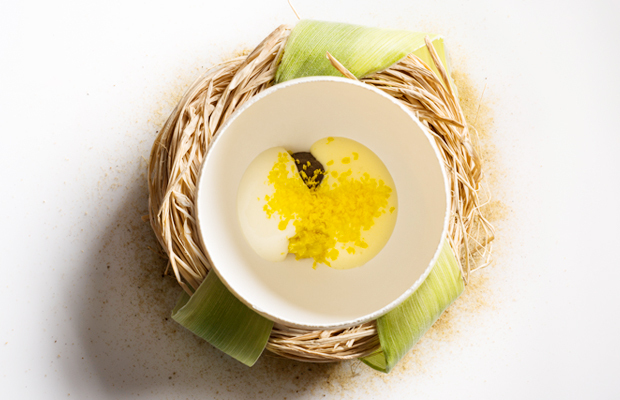 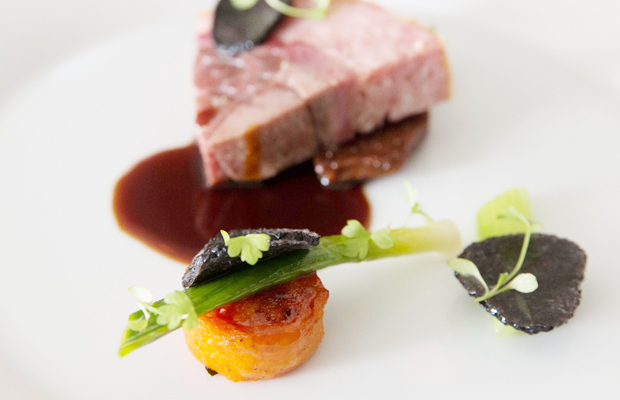 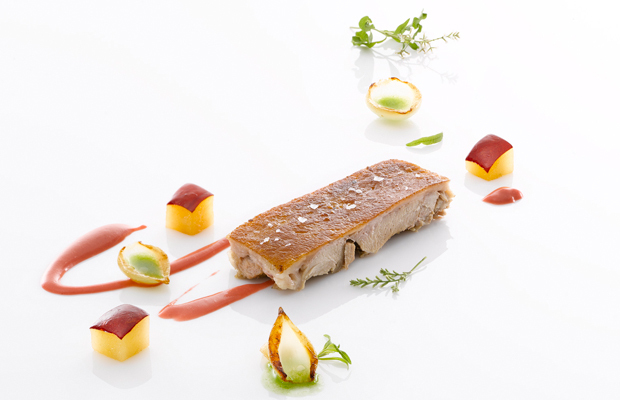 While Chef André Chiang’s restaurant may be a “youngster” in the elite gastronomic sphere, it has, however, already earned the admiration and respect from the global culinary community for its sophistication, unique characteristic, and unusual philosophy. 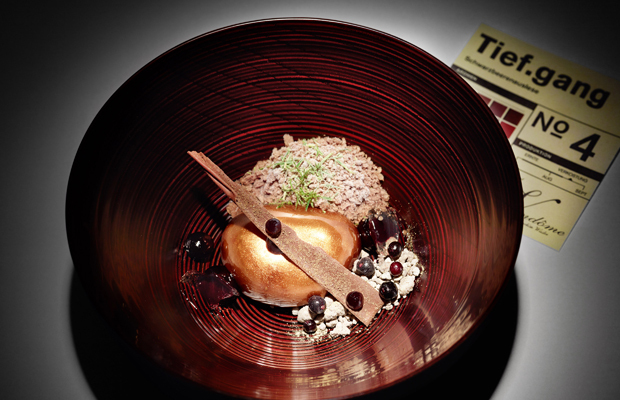 On the tasting menu, each of the eight courses (excluding amuse bouche and dessert) reflects the chef’s multi-faceted culinary experience through masterful techniques, unexpected forms and textures, as well as an overarching sense of creative innovation present on each dish served. 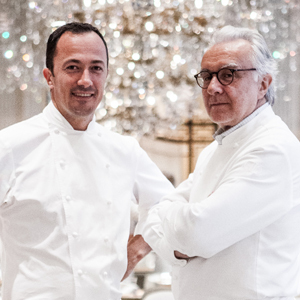 Arguably the most successful chef on the planet, Alain Ducasse has entirely reinvented his flagship restaurant in Paris and radically revised his entire menu with the help of executive Chef Romain Meder. 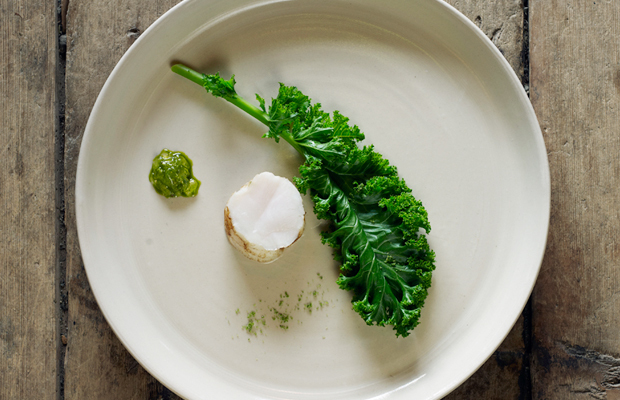 The new menu, based around the trilogy of fish, vegetables and cereal, aims to refocus on healthier eating using produce that has been caught or grown in a sustainable and largely organic fashion, whilst exploring more humble and natural flavours of the earth. 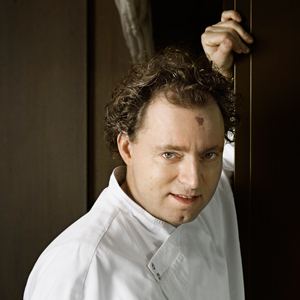 Considered to be one of the most talented chefs in Europe, Michelin star Chef Andreas Caminada takes diners on a sensory journey through his skillfully crafted menu that explores avant-garde themes regarding the interaction between aromas, textures and flavours present in simple and familiar dishes. 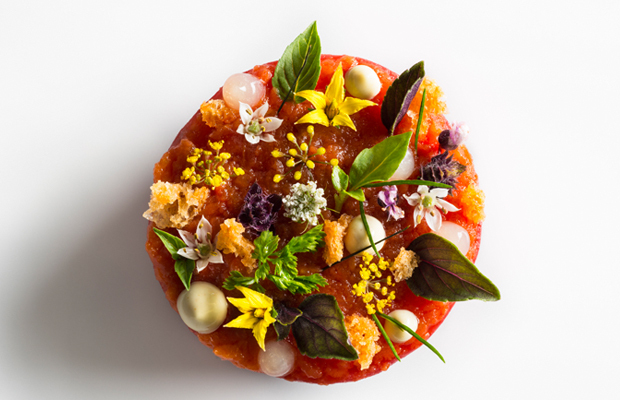 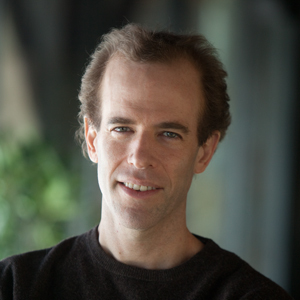 Co-owner and executive Chef Dan Barber’s mission at Blue Hill, at Stone Barns, is to evoke a consciousness about the effect of everyday food choices. 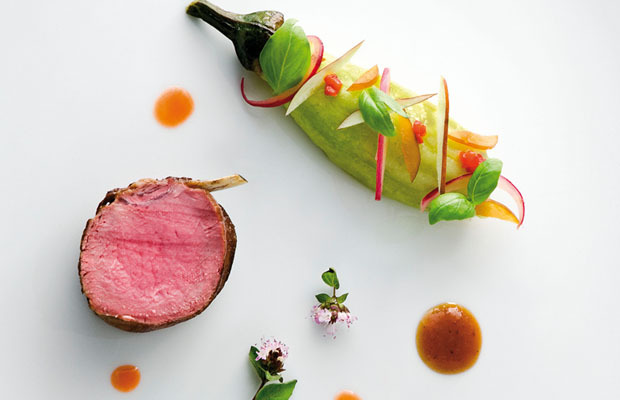 As such, every dish created on the restaurant’s menu is either locally sourced or found on his farm for optimal freshness that doesn't compete with ostentatious sauces or spices served along side it. 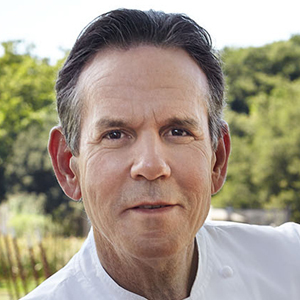 Even after two decades in business, Thomas Keller’s American-French restaurant, The French Laundry has definitely not lost any of its appeal. 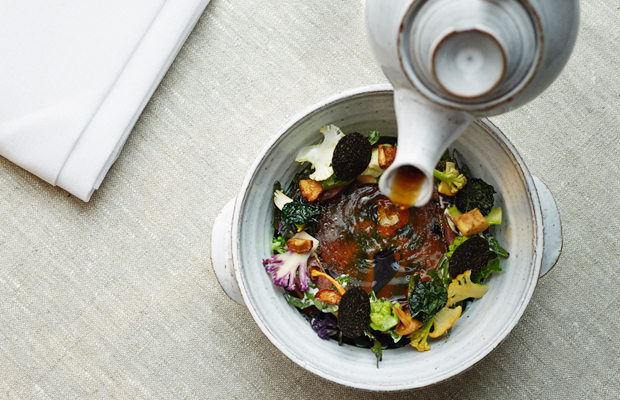 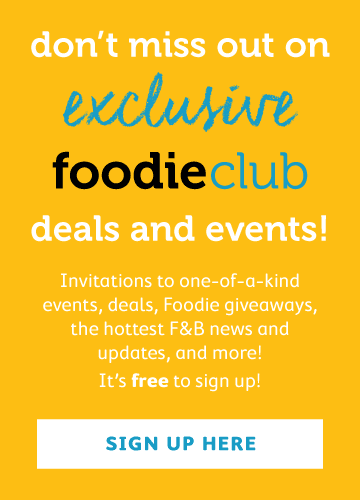 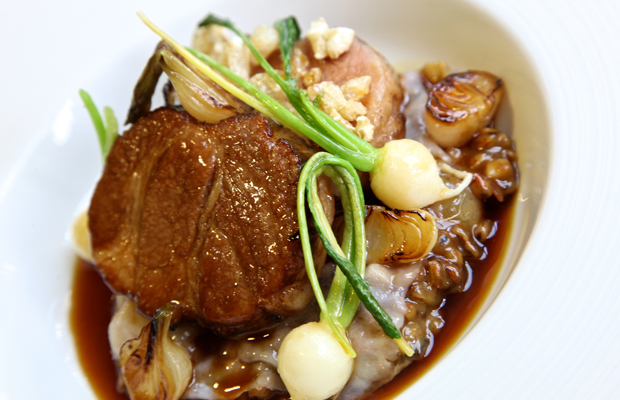 With a daily changing nine-course tasting menu, each dish is created with the best-quality sourced produce from around the US (as well as vegetables from their own kitchen garden) to conjure a perfect harmony of flavour balance found in the chef’s iconic no-ingredient-repeated-twice menu.